First of all – can you tell us something about yourself? Who are you, what do you do? Hello! My name is Nam (@laughtraveleat on Instagram) and I am a travel blogger / writer who lives in Hong Kong. I run my own blog: Laugh Travel Eat that documents my travel tips and adventures near or far. My day job is content marketing, and when I am not writing or working, you will find me stuffing my face with egg waffle and bubble tea or catching up on the latest DC TV series while online shopping. Do you travel a lot? How you pick your traveling destination? I like to travel as much as I can, because there’s just so much to see in the world and it has become so easy to just hop on a plane and head to an exotic location nowadays. I generally look out for flight deals, though sometimes after reading a book or watching a movie, or even seeing a picture on Instagram and Pinterest will get a place on my radar that makes me really want to go. 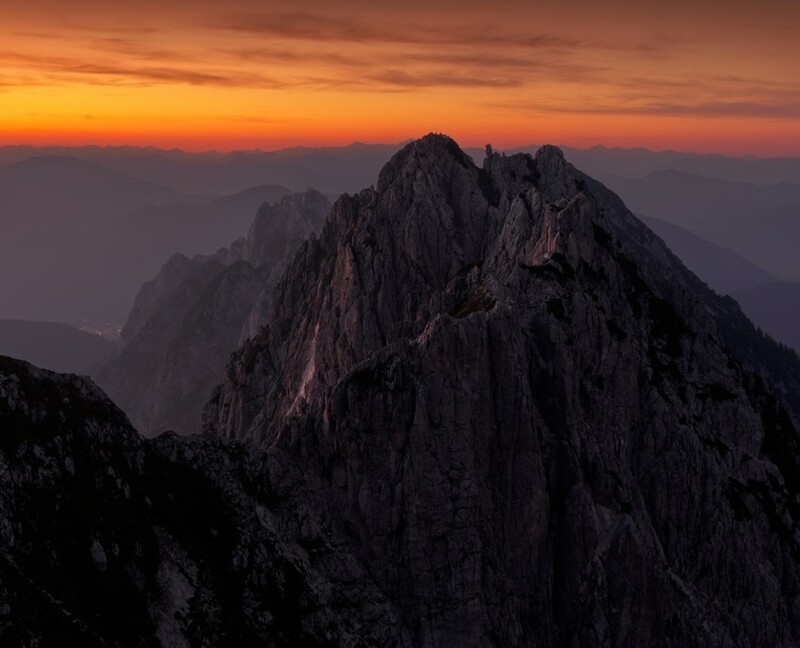 Your Instagram profile is full of amazing photos from Slovenia. 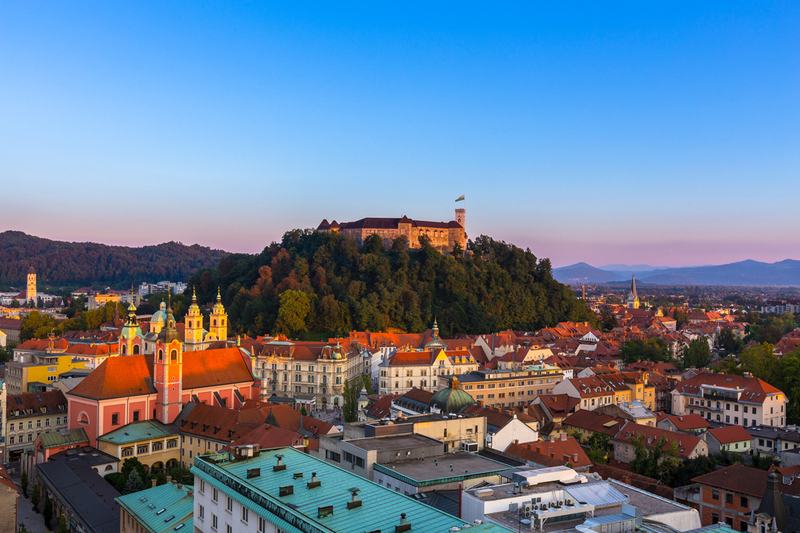 Can you tell us a little bit about – how you came across Slovenia, when did you decide to visit and what places did you see? 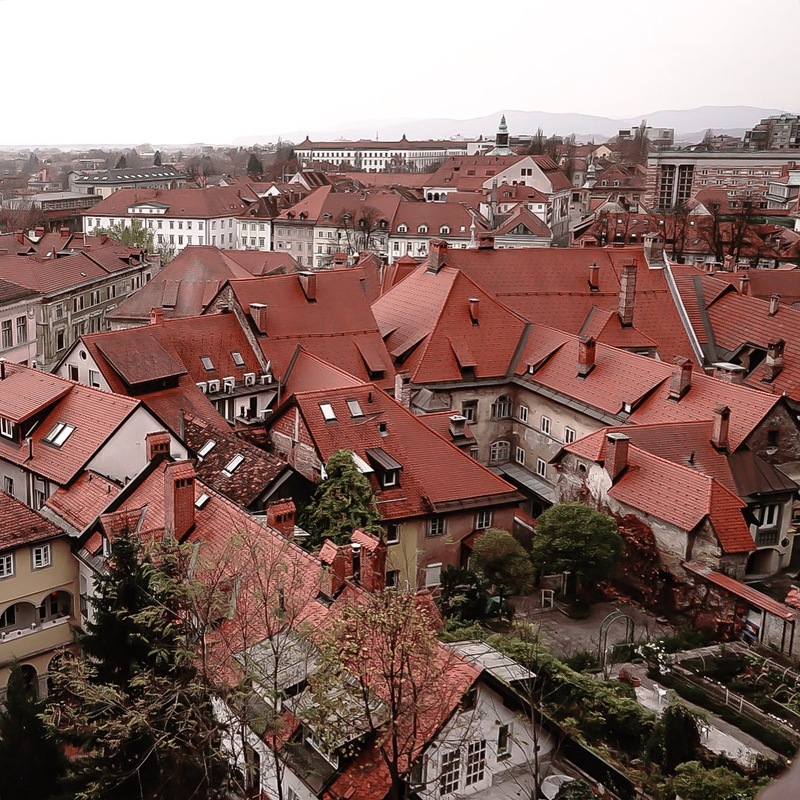 I visited Slovenia last August with my friends as a bit of a graduation trip. We actually wanted to visit Albania, but the flights were too expensive, so we headed for Pula, Croatia instead. 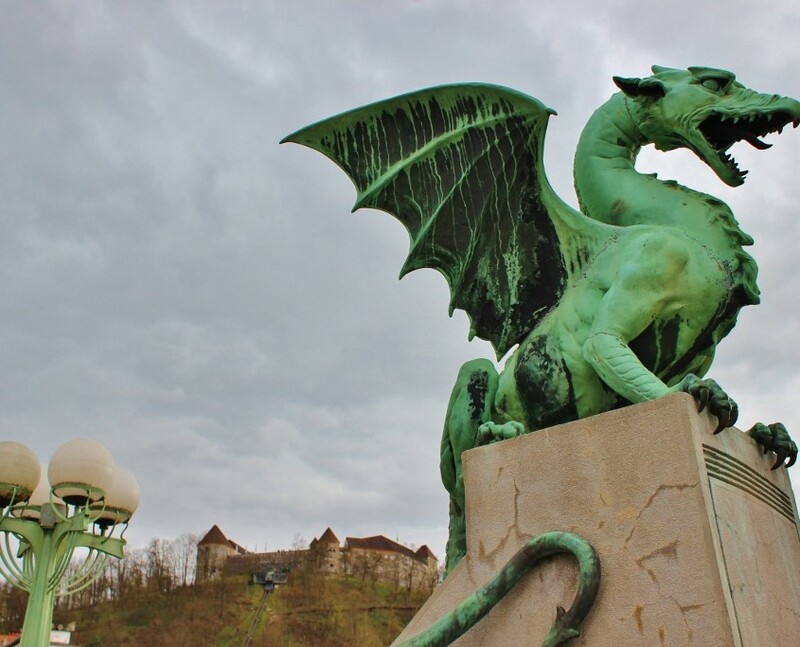 Then my friend suggested that we go to Ljubljana and I thought, why not? 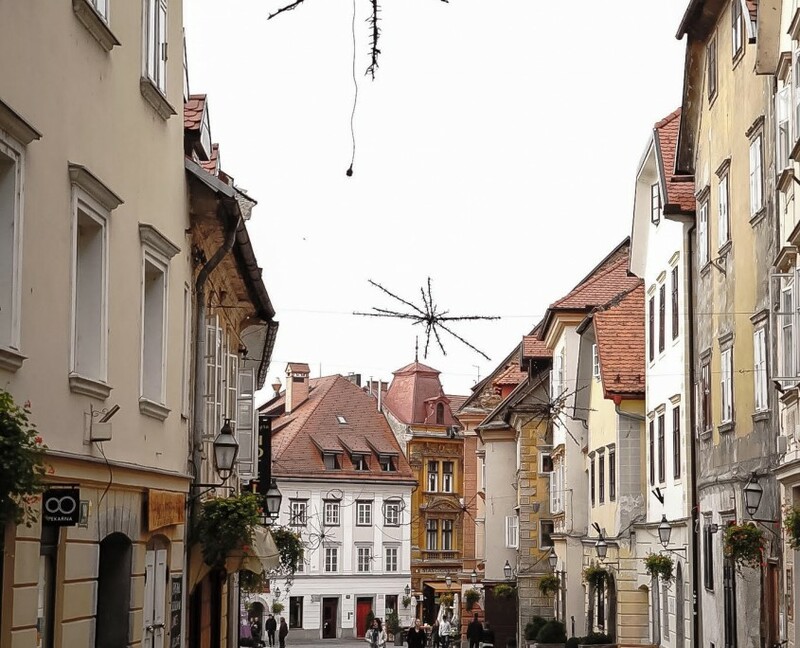 So we spent two days there before taking a bus to Bled, where I stayed for 4 nights while my friends left on the second due to poor timing on my side. 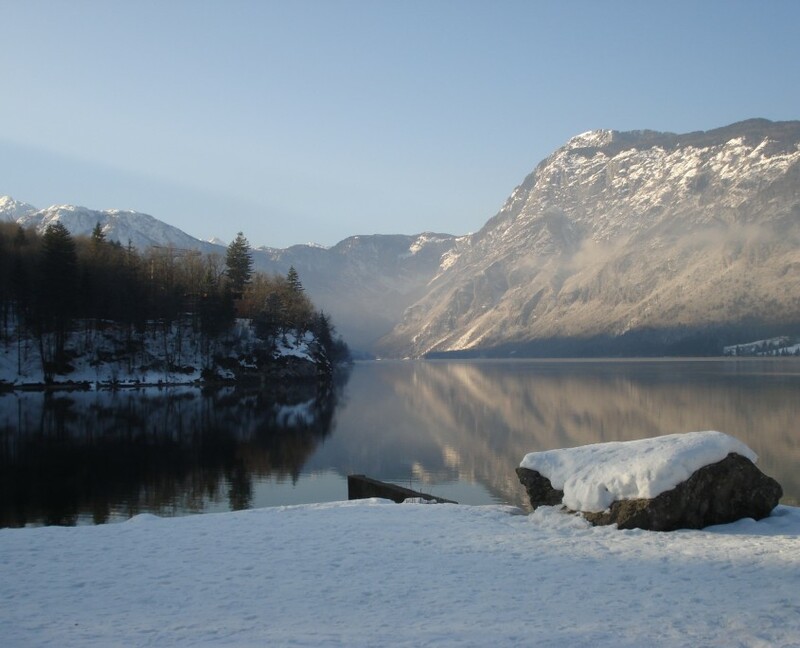 I had another week to go before I needed to be in Italy, so I traveled to Bohinj by myself. 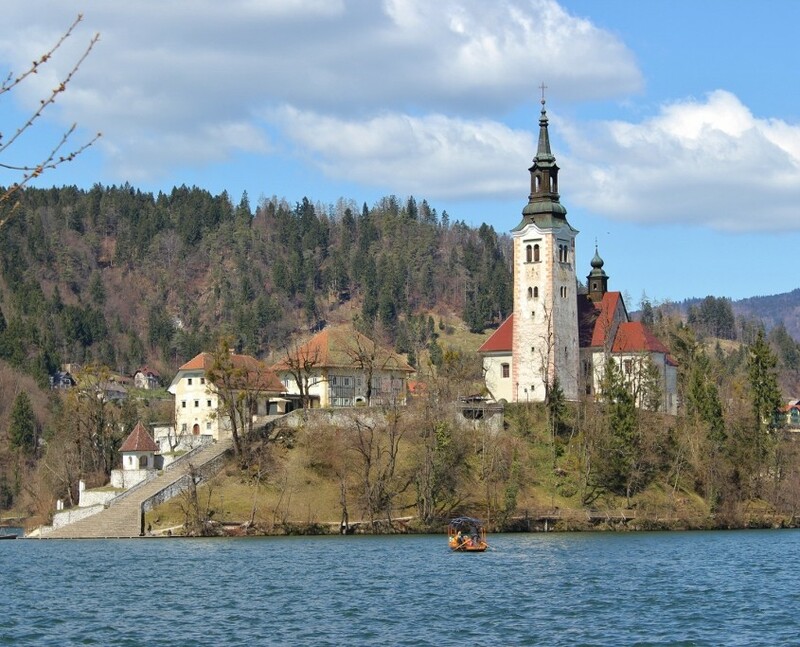 Where did you find information about Slovenia? 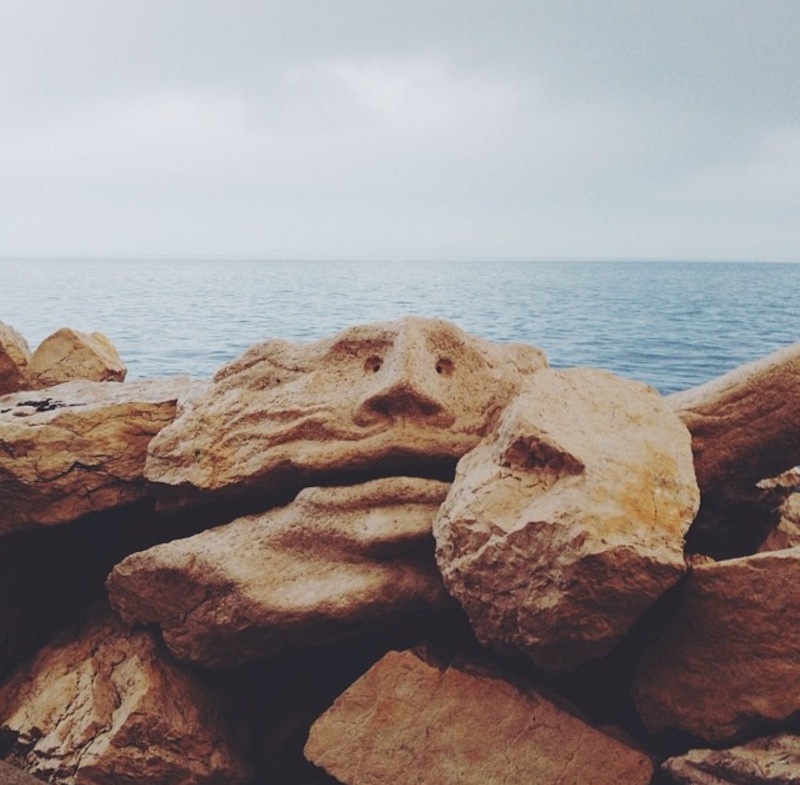 How did you decide what to see? I looked everywhere online for a bit, the official tourism page was a lot of help, and I got a lot of inspiration from the @Igslovenia Instagram as well! 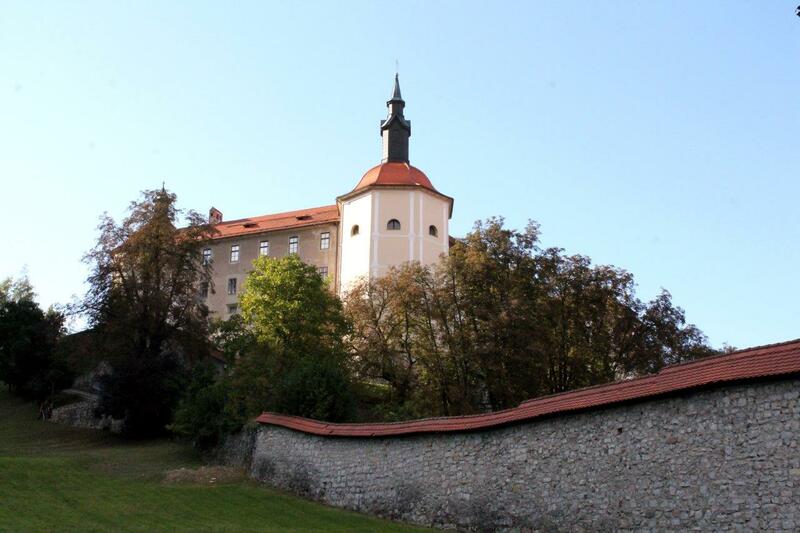 There aren’t a lot of blog posts out there on Slovenia, especially in the Bohinj region, but I had a lot of help from the staff in Castle 1004 Hostel in Bled in terms of transport etc. 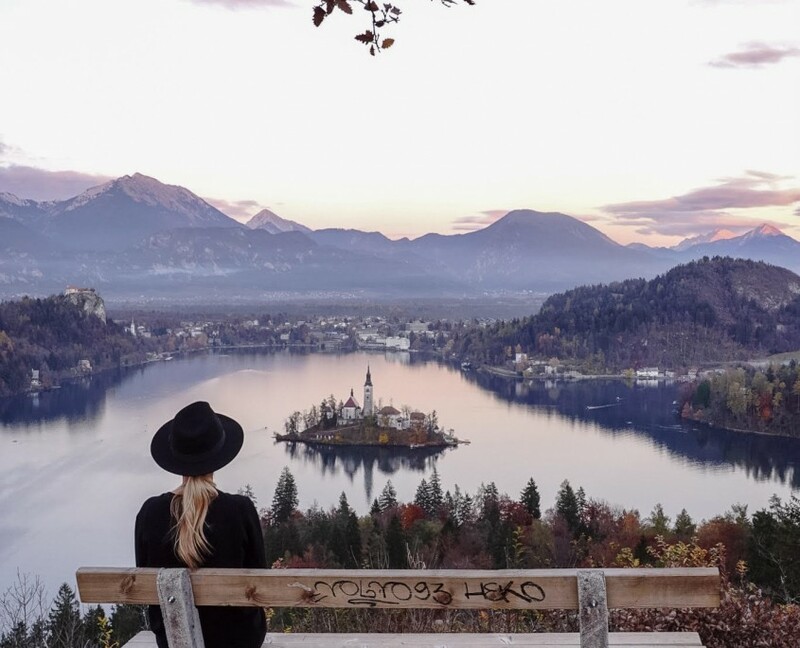 What was your favourite place in Slovenia? 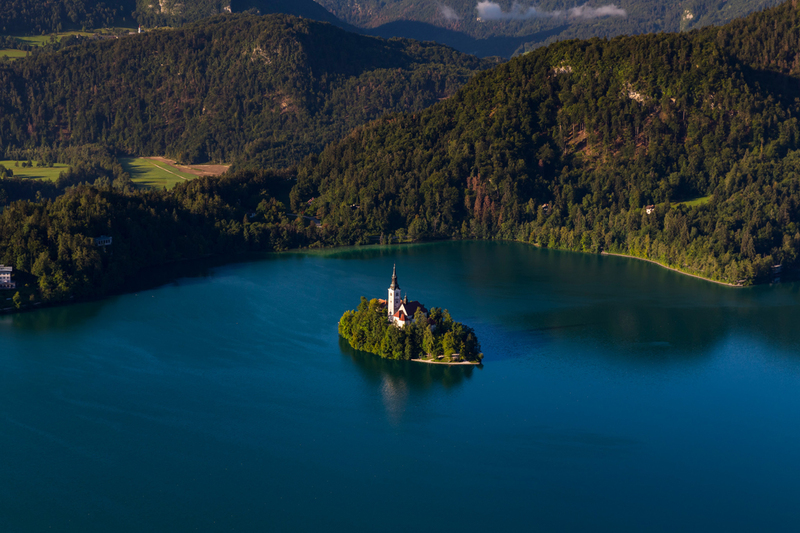 What would you say is ‘a must see’ place in Slovenia … especially if you are a photographer? 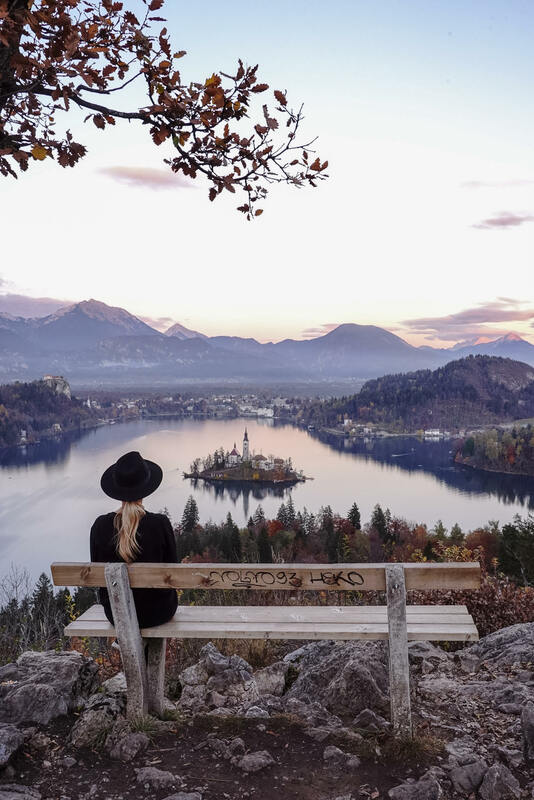 The classic view point of Lake Bled – Ojstrica. 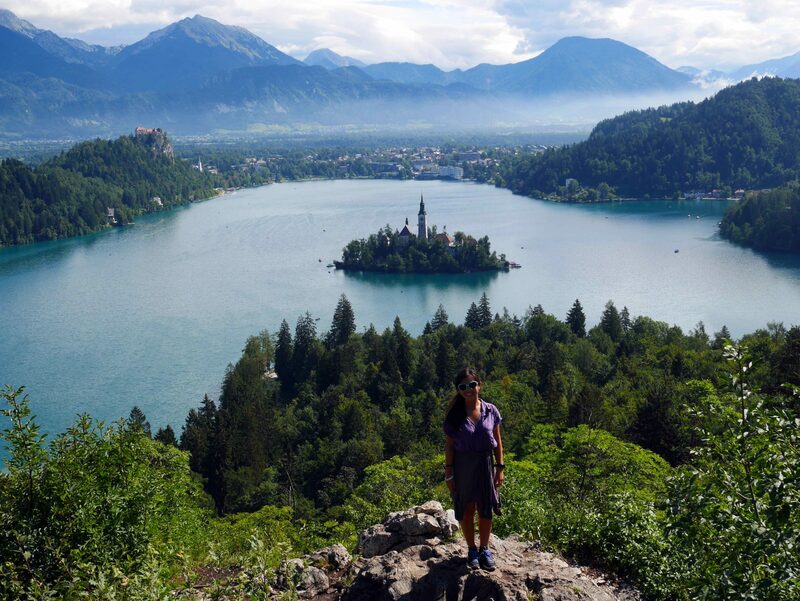 It’s the postcard, picture perfect view of Lake Bled and a pleasant hike up. 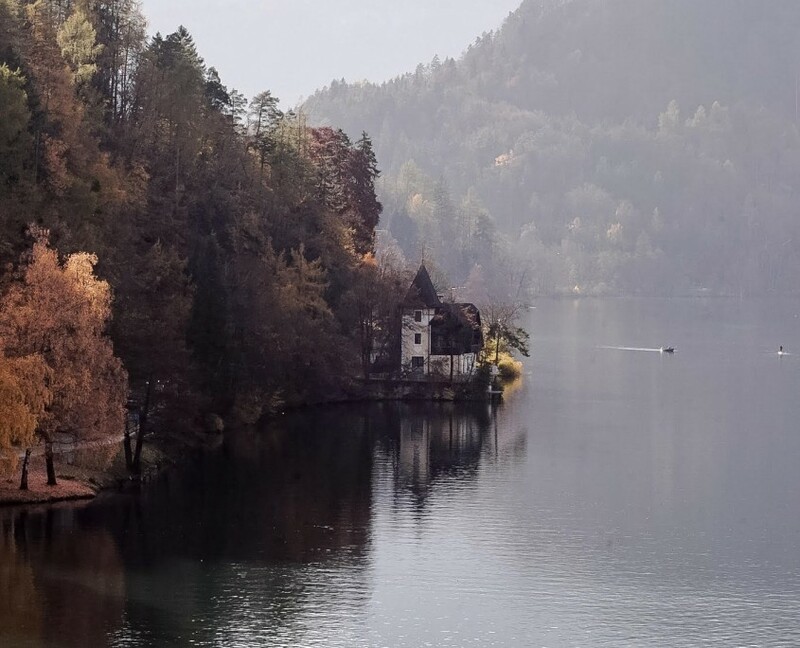 I only managed to go there on my last day in Bled because of the rain during my stay, and I was so glad that I got to visit there on a sunny day! Is there a place or thing that you would say – skip it? Why? 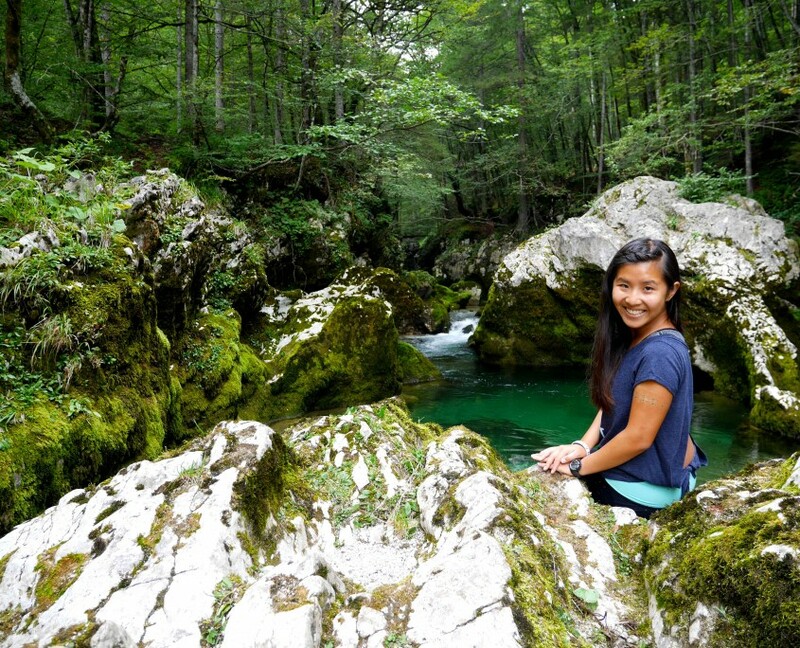 Well – Voje Waterfall! Although the hike there was pleasant with a gorgeous meadow, the waterfall itself is not as grand as it looks. As reaching this waterfall involve an extra 2-3 hours hike from the Mostnica Gorge, I would say skip it unless you have the time! Back to photography; What equipment do you use for taking photos? My trusty DLSM Panasonic DMC-GM1; I am not a photographic expert by any means, but a semi-automatic mirrorless it’s easy to use and take great photos! Photography has become a way for me to record every moment in my life, especially when I am visiting a new place. A moment capture in the camera will forever be there, however, one can easily forget about some place or somewhere. There’s also something special about looking at the world through a different angle, which you wouldn’t normally if you are not holding a camera! Can you describe us your photography style? In all honesty, I am a point a shoot kind of girl, though if I see something I like, I will stop and try to find the best angle for it. I can’t say I have a particular style, other than taking tons and tons of photos. How did you end up on Instagram? I started my account on my mum’s phone about five years back, but didn’t really started using it until a year after. Eventually I began to post only the photos from my travel when I started my own blog last year. Instagram is an amazing community and resources that fuels my wanderlust like no other! Accounts like @Igslovenia is what keeps me around and hyped up about all the amazing places I have yet to see in the world! Do you use any other social media channel? If yes – can you compare the experience with using Instagram? Pinterest is the other social media channel that I use frequently. It’s similarity to Instagram ends on both of them being visual. While Instagram is like a photo sharing site, Pinterest is a noticeboard. You can find me on Facebook, also. How often do you publish photos on Instagram? Do you interact with other people on Instagram? I publish a photo daily! And because I do genuinely enjoy Instagram, I go through my feed every moment I get and try to comment on every photo I find interesting. Being a frequent user myself, I know that every comment means a lot and it only takes a button and a few words to make someone’s day. 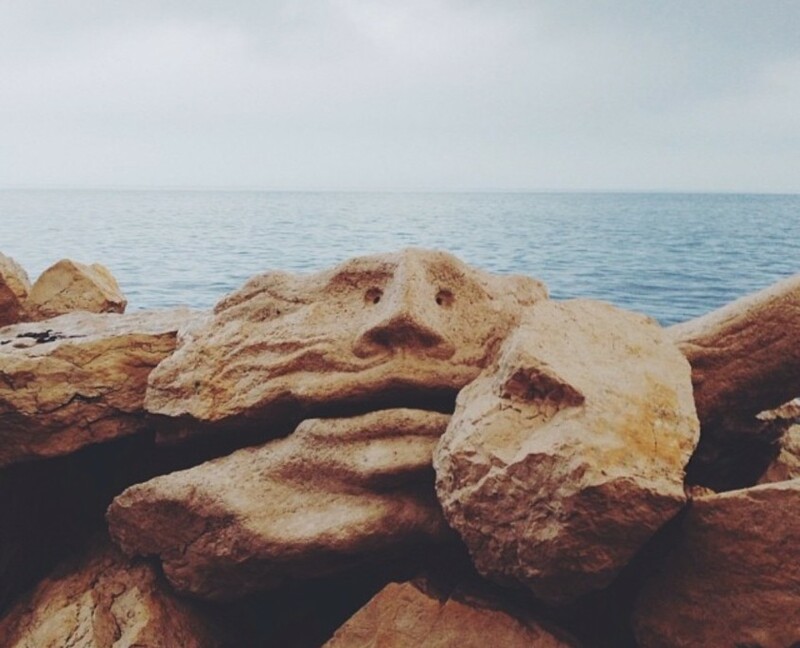 What would you say are the most important ‘rules’ that every Instagrammer must follow? Or – it would be good to follow? Try not to be fake. I know that there are lot of people who are trying to grow their accounts (business or otherwise), but the whole following – unfollowing technique is one of the most annoying thing I have ever come across. If you don’t like someone’s feed, don’t follow and expect a follow back then unfollowing them. 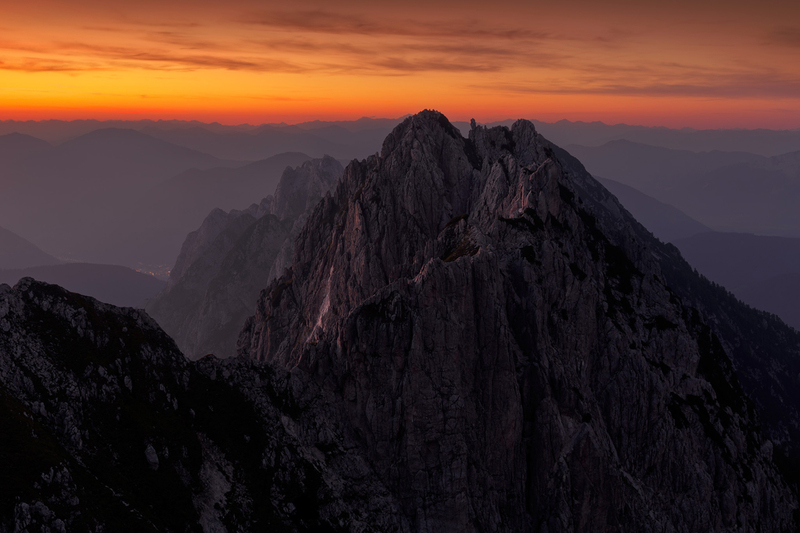 Meet Ed Norton, amazing (Lonely Planet) photographer, who loves extreme sports, thinks people in Bovec are really nice, whereas caves in Slovenia – not so much. It was an honour (& fun!) talking to him and finding out lots about photography; Instagram and his cool mum:)) Thank you so much, Ed! 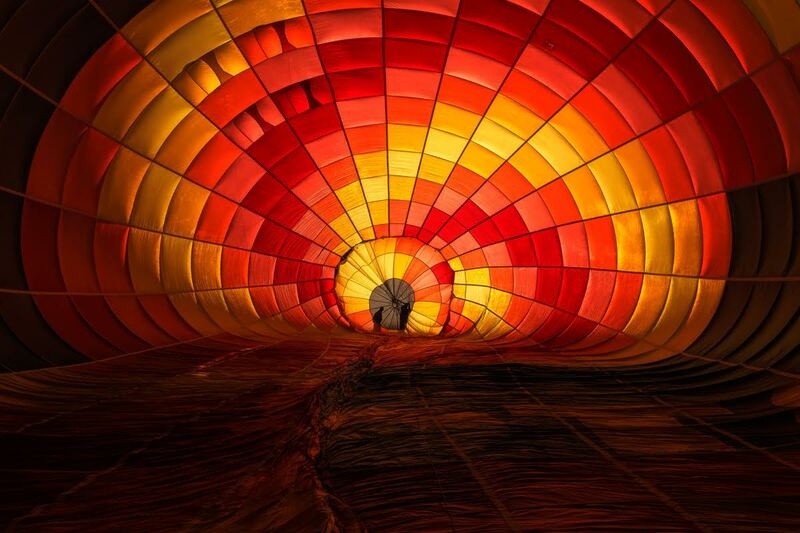 My name’s Ed Norton and I’m a travel photographer working for Lonely Planet / Getty Images. I’m originally from the South West of England from a city called Bristol but I am now based in London. OK, Lonely Planet! To an amateur photographer this seems like a dream job. Is it? It certainly is a dream job! There is a lot of hard work that comes with it though. I often work 16 hours a day, 7 days a week. At least half my time is spent in a dark room alone editing and labelling my images. If you don’t enjoy your own company then it’s definitely not for you! Photography is my life and when I’m not working, I’m learning or researching. I literally never stop doing either of those things and I absolutely love it. You absolutely have to love what you do. Don’t ever chase money. That will follow if you’re passionate about it. Although I got a contract with Lonely Planet I was still essentially freelance. I’m completely self-taught in photography and had to do the same with the business side of things. Without any guidance you have to be really self-motivated and willing to take risks. People always say ‘you’re so lucky’. 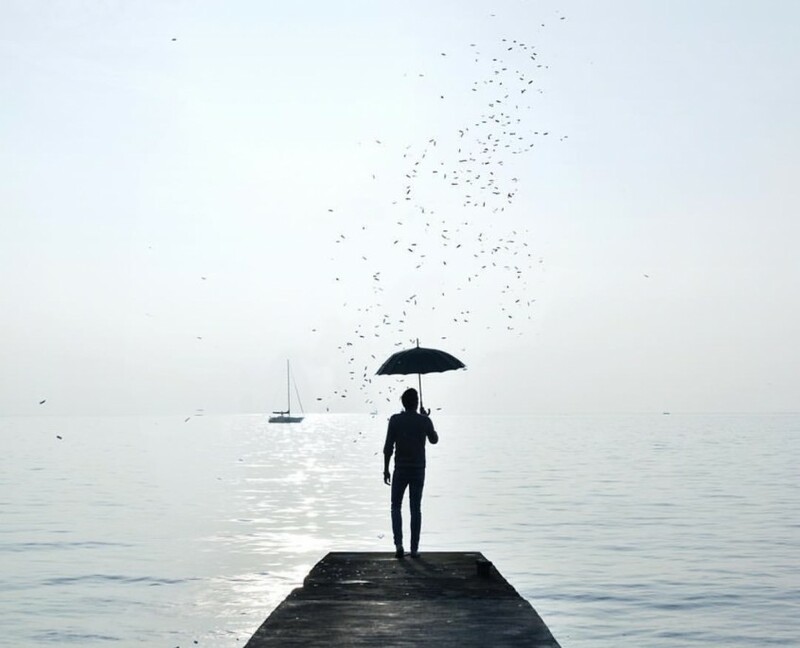 I personally prefer to keep the word luck out of my life as it implies that things happen by chance and without your involvement. I prefer to see it that you’re dealt a hand in life, without comparing it to anyone else you make the best out of it and create your own opportunities. Things don’t just fall in your lap, you need to be out there being as proactive as you can. Oh, and always remember that failure is all part of the fun of it! Handle failure with a positive attitude and learn from your mistakes and you can do anything you want in life. I used to travel pretty much full time but slowed down over the past 3 years. I still got away 4-8 times a year but sometimes shorter trips. From March 2016 I’ll be back on the road again and exploring the world full time for a couple of years at least. I’m not sure how I decided on Slovenia exactly, it was a case of looking at a map and picking somewhere new. I also tend to check flight prices to European countries to see what’s good at the moment. Wiz Air do flights from London from £35 (return!). 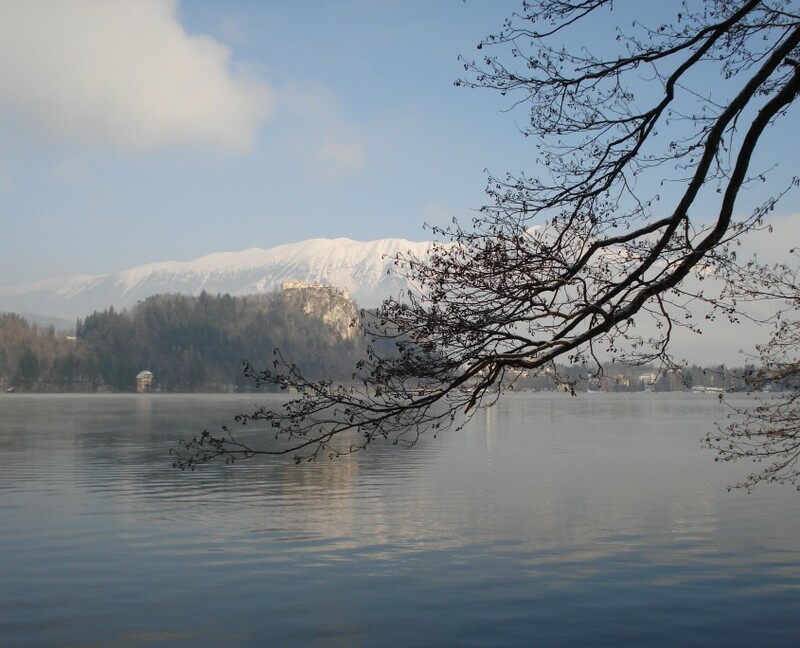 I didn’t know too much on what to expect with Slovenia and had only really seen photos from Lake Bled. 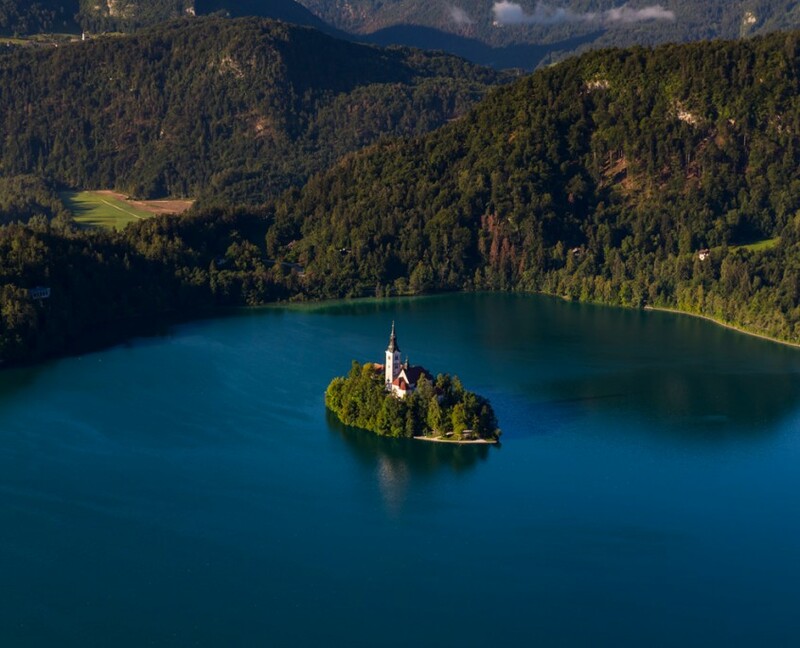 That alone looked beautiful so I decided to do some more research on Slovenia. The rest is history! Lonely Planet of course 🙂 I then go for some visual inspiration and use platforms like Instagram, 500px, Google Images to look for things to see – if you like to travel then make sure you follow travel photographers as they’ll do all the research for you! I’ll then read blogs, travel forums, articles to get other information and piece it all together. That’s a tough one to answer as I loved everything I saw! 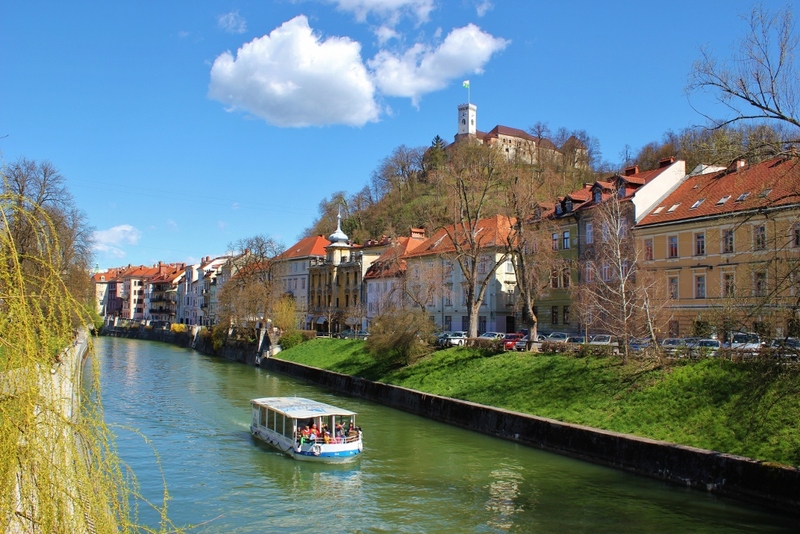 Ljubljana is an amazing city, great relaxed atmosphere and friendly people (and amazing food!). 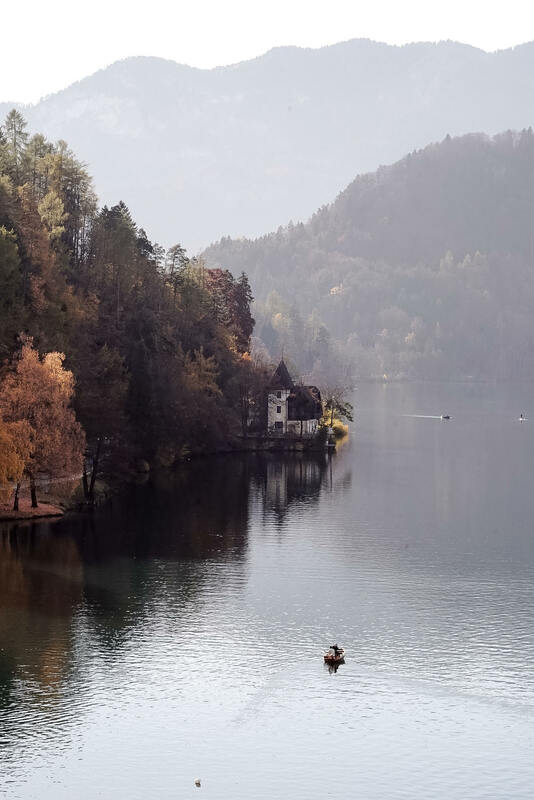 I fell in love with Lake Bled. It’s just postcard perfect! 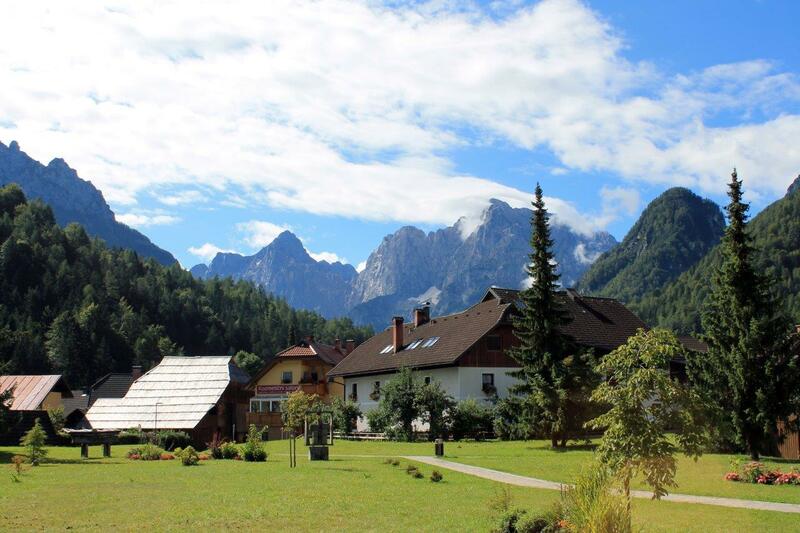 Bovec was amazing as well! The people were so friendly, the extreme sports, scenery (especially the view from the top of Mangart!) I need to go back to explore more! Predjama Castle was great to see for a flying visit. The tour was interesting enough but the tour of the caves underneath wasn’t that great. But it’s a minor really! It’s a truly stunning country! Most of my work is taken on a Canon 6D. I have a range of lenses ranging from 16mm and all the way to 400mm. What I pack in my bag depends on the trip. Everything! I constantly have to pinch myself that I’m able to travel the world and take photos, combining 2 of my 3 biggest passions (the 3rd being music!). We all share a beautiful world together. My aim is to try and inspire people to explore it as much as they can as well! Colourful! I guess that comes from growing up in England where grey is what I’m used to! I also spend a lot of time perfecting the details of my images. It’s not something you’ll notice on Instagram but when my work is printed out you’ll notice the sharpness, textures and details that I bring out. Ha! Believe it or not it was actually my mum who introduced me to Instagram. I didn’t listen to her for a while as your mum isn’t meant to know what’s cool is she?! Turns out she is quite cool and I should have listened to her from the start. I set up my account about 3 years ago but have only really been using it properly over the last 8 months. I have a Facebook page and Twitter account. Instagram however is my favourite. The community is much more engaged. It’s a visual platform only so you know what you’re getting in your feed and you can tailor to suit you. One post can be and amazing photographer from New York and the next you’re taken away to the top of a mountain in the Himalayas. Travelling the world at the flick of a screen! 1-3 times a day. When I’m not posting I’m looking at other peoples work and trying to find new amazing photographers to follow. I interact as much as I can, especially with my own followers. There are loads of names that ‘like’ my posts that have been there from the very start which is amazing. Apart from the usual don’t post more than 3 times a day I’d say keep the camera facing forward and show the world how you see it! Stop trying to copy the people and be like a ‘celebrity’, your life is probably a lot more interesting than you think! Basically, don’t post selfies unless they’re funny! To find more about Ed & his work – check his web page! Alessandro is the person behind the @alessbix and @master_shots accounts on Instagram (& @alexandertn1 on Twitter). I’ve met him while we were both a part of the Photowall team on Instagram. It was quite funny to discover that joining an American team connected two people living so close together – since Alessandro lives just across the border, in Italy. We talked a lot & I’ve learned do much from him. So – sharing an interview with a dear Instagram friend – is a must! So, can you tell us a few things about you? My name is Alessandro and I’m an Italian biologist from Trieste . I’m an amateur photographer taking photos for fun but always trying to improve my skills. I use a canon Eos 650D but I always have with me my little canon IXUS , even if many pictures on my feed were taken and edited with my iPhone. I don’t have a specific style, I love woods, mountains, water, sunsets, lights … I mostly take photos of nature, I don’t edit much, often not at all. What I like about photography is the fact that it can stop time and freeze the moment. Being a photographer is not about being a pro or about what gear you use, everyone can take a great shot simply using a phone. It was just another app I wanted to try back in 2012, obviously the try must have turned into some kind of addiction if I’m still here. I always try to post at least once a day. Sure I interact with other users and I love to keep in touch with friends from all over the world. My advice to other users would be; Be different , be social and be active. Also; Don’t post to get likes but post what you like. This is the second time (as far as I know) that Instagram made you ‘the suggested’ user. What does this mean for you? Yes I must admit, that is was totally weird! I was suggested user twice and obviously there is no magic trick for hitting the suggested users list. The first time Instagram selected me while I was posting a very unedited pictures series , I mean neat no freaky stuff, no fake colours, I guess that paid off. So – there is no magic formula how to get noticed by Instagram? As said I don’t know any existing formula, they constantly check feeds and main tags, things changed a little bit since Facebook acquired Instagram but I honestly don’t think there are algorithms or specific ways to get noticed. I also know you as the co-founder of the @Master_shots profile? When did you start it? How? Yes, We founded @master_shots together with Jelena, a great partner and the best admin I know so far. The page wouldn’t probably exist and surely wouldn’t be so popular without her devotion and impressive job. Master_shots profile was funded back in July 2013 and started posting features and running contests like any other page, outstanding selections and great working team made the rest. How do you pick photos to feature there? What does ‘a good photography’ mean to you – in sense that it deserves a feature on the @Master_shots profile? Ah that’s an interesting question, basically there is some weird obscure rule that makes some photos work and others don’t even if they are both totally amazing. There are many factors to consider but they unfortunately or fortunately – can’t be 100% managed. Master_shots has its own style which is different from other cool hubs. Being featured means you are very cool at taking photos, no matter if you are popular or not, you just – stand out. You live near Slovenia. How often do you visit? Actually I live on the border and I spend a lot of my time in Slovenia but I must apologize cause I know just few Slovenian words and 99.9 % of them are related to food and drinks. What are your favourite (photogenic? :) places here? I absolutely love the Bohinj area and Bled, I have a thing for Ljubljana but I also find the seaside amazing. If we want to get to know the area you come from a little better – who should we follow, except you, of course? Well if you want to see amazing spots, urban photography and a great mood you must give @ralfmalf a check, his gallery is impressive. There are also some local hubs you can check out like @igersfvg, @instaitalia, @igersitalia, @ig_italia and probably some other pages. As most of the Instagrammers that keep amazing me I’ve found the @JSFtravel profile while going through photos tagged #igslovenia. I soon discovered that the profile belongs to a lovely American couple whose job is – to travel. Or – is this a full time – hobby? Let’s find out! Can you present yourself? Who are you, where do you come from and what do you do? We are an American couple, Sarah & Kris, travelling full time. In April 2014, we left our jobs, sold everything we owned and set out on a journey to travel the world. What we find most fascinating about travelling is experiencing different cultures. We love learning about the people, food and local customs in the places we visit. For 20 years, Kris worked for an airline. His flight benefits allowed him (plus spouse, once we got married!) to fly for free. He has been travelling much longer than me to places I still haven’t been, like Egypt, Brazil and Scotland. With the number of years, he worked at the airline, he was able to take an early retirement while keeping his flight benefits; therefore, we pay only a very small fee to fly, which helps tremendously in budgeting our travels. My background is in journalism and marketing. I like finding the story about a place and sharing it with other people. When we decided to travel full time, I created our blog as a way to tell stories of the places we were visiting to our family and friends back home. Just as much as I like using words to tell stories, I also like capturing images with my camera and let the photos show the story. How does your life look like? How much do you travel? 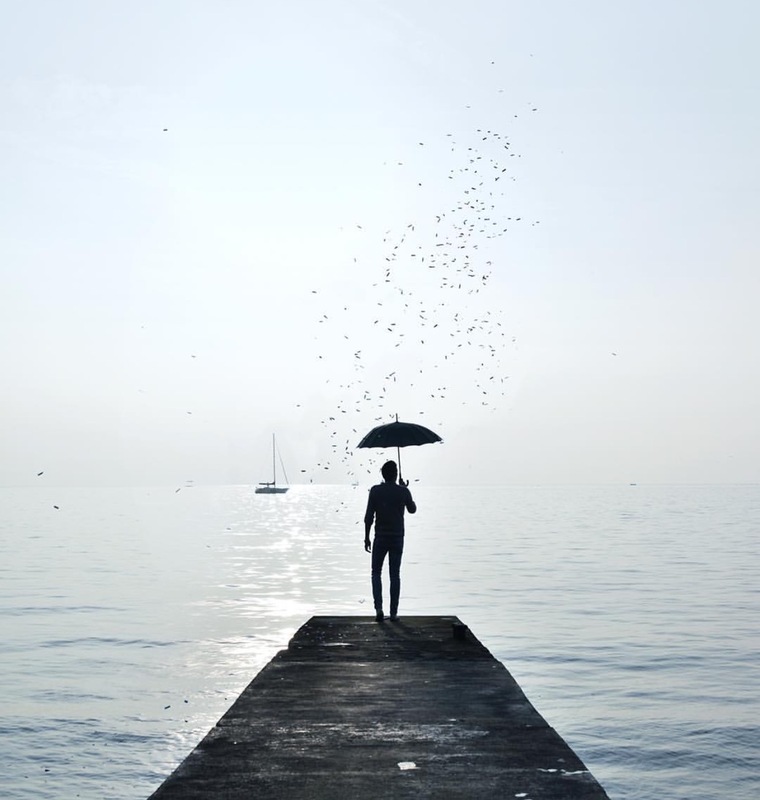 We are essentially homeless – without a home or possessions to return to – so we are constantly travelling. However, we do travel slowly. Staying in one place for a month at a time allows us to gain a deeper understanding of the area. In between our longer stays, we pick destinations along the route where we might stay for a week or two at a time. How do you pick your destinations? Where do you search for information about a new country, new destination? There is so much of the world that we want to see that we often find it difficult to choose where we will travel to next! In our first year of full time travel, we were actually travelling ‘around the world.’ We had a goal of circumnavigating the world in a year’s time, which we did. We travelled west, starting in South America – and spent time on six continents before arriving back in the United States for a short visit. During that time, we chose destinations based on westward travel. At this point, there are very few places that don’t interest us – we want to see it all! Are you professional or amateur photographers? What equipment do you use for taking photos? I am an amateur photographer; a hobby photographer, actually. I use a Canon Rebel T2i with a 18-55mm lens – and I almost always carry my camera with me. In rare occasions, I use an old (and more portable) Canon Power Shot. Kris uses his iPhone and, honestly, it sometimes takes the better photo. I don’t really have a photography style. I like to takes pictures of the things I see – and I want my photos to retain a real-life quality to them. My favourite pictures are the ones that tell a story all on their own, without any words needed. Instagram is a travel’s delight! We wanted to connect with other travellers, as well as have a place to display our photos – Instagram is perfect for that! How often do you publish? Do you interact with other people on Instagram? Who would you recommend to follow? We publish on Instagram once a day, but throughout the day we interact with the people we follow – and the people who follow us. We love the Instagram community. 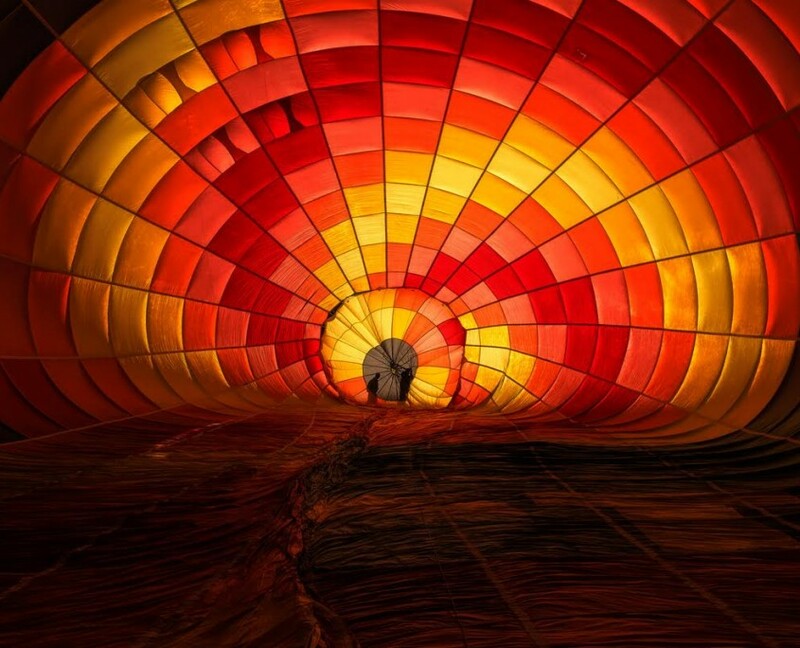 Seeing pictures around the world fuels our passion for travel. Who would you recommend us to follow? Jewelszee, NoDestinations, TheTouristin, HeckticTravels & Nomadasaurus. Slovenia? How/when did you decide to visit? Why? Slovenia was on our list for a long time before we actually visited! 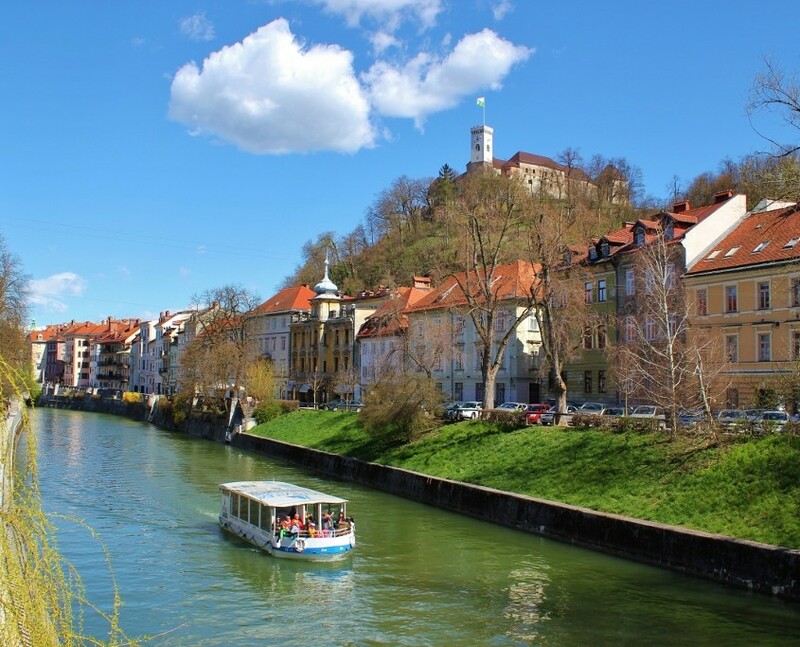 We were drawn to the country for its beautiful scenic landscapes and the fairytale city of Ljubljana. 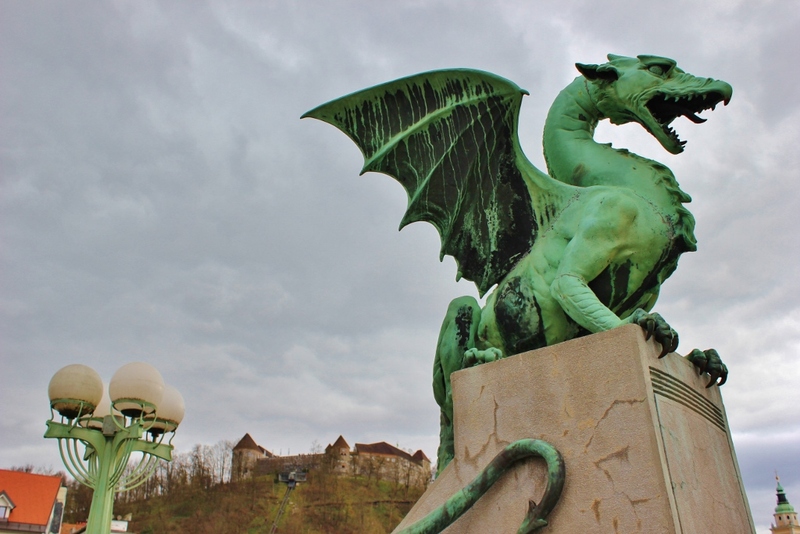 We spent two weeks in Ljubljana last spring – which is not enough time! What are your favourite places here? 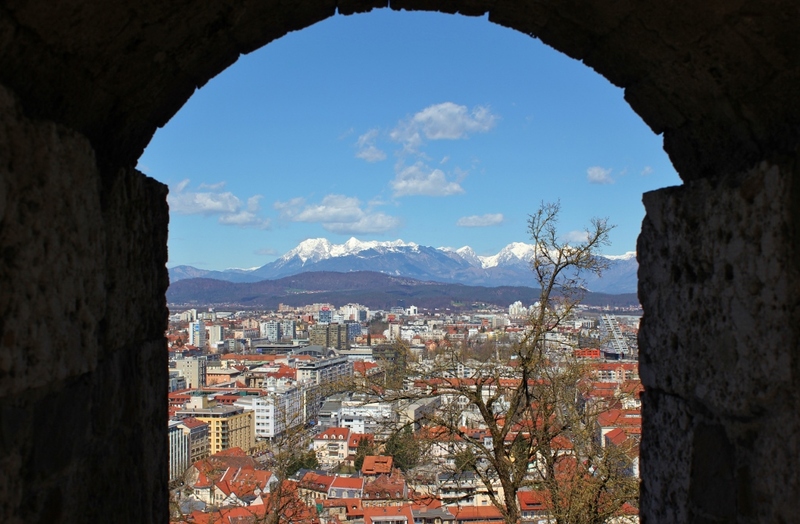 We loved everything we saw in Slovenia – city, mountains, rural countryside, so it is difficult to pick one place. 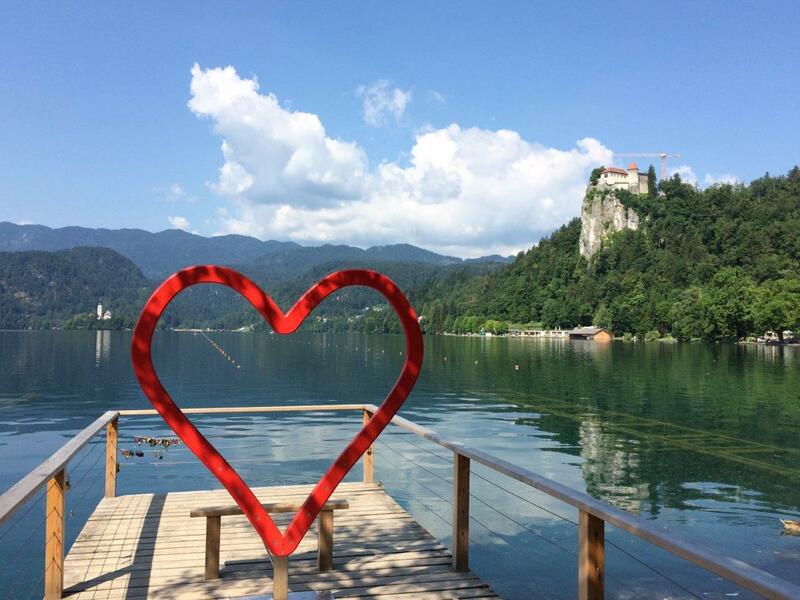 Being in the historic old town of Ljubljana was magical, but the natural beauty of Lake Bled was our favourite. Which place is (for you) the best to take photos? The entire country is very photogenic! 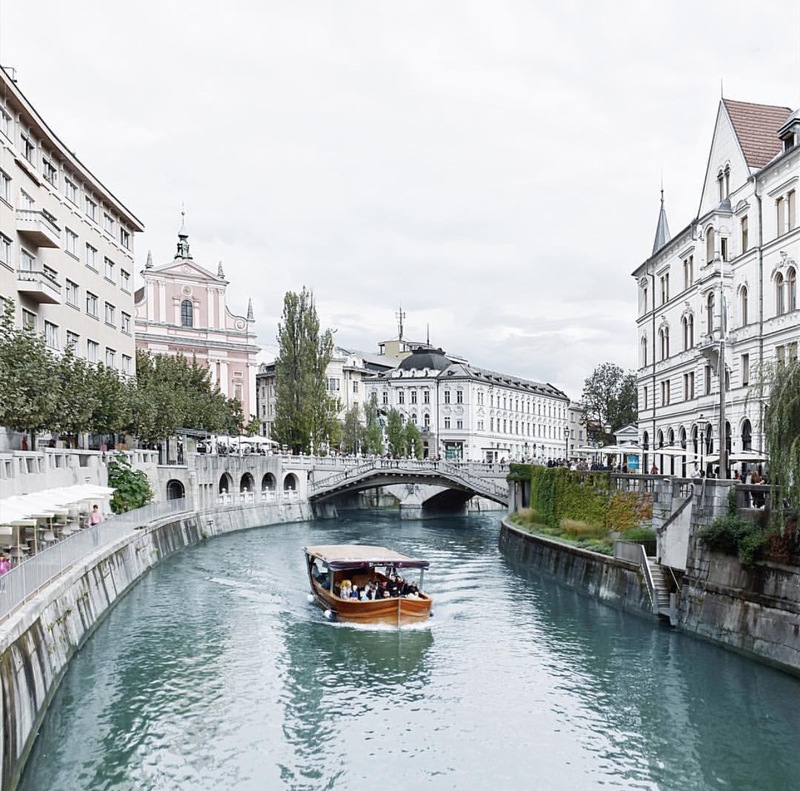 We loved taking pictures along the river in Ljubljana’s old town. 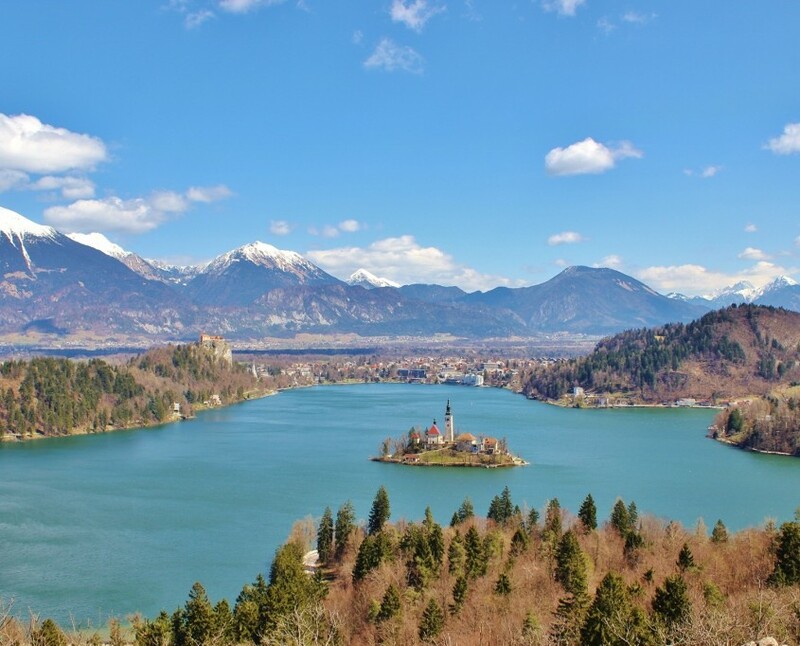 However, the best place to capture the splendour of Slovenia was from the hills that surround Lake Bled. The view of the lake from above by far surpassed any other vantage point. 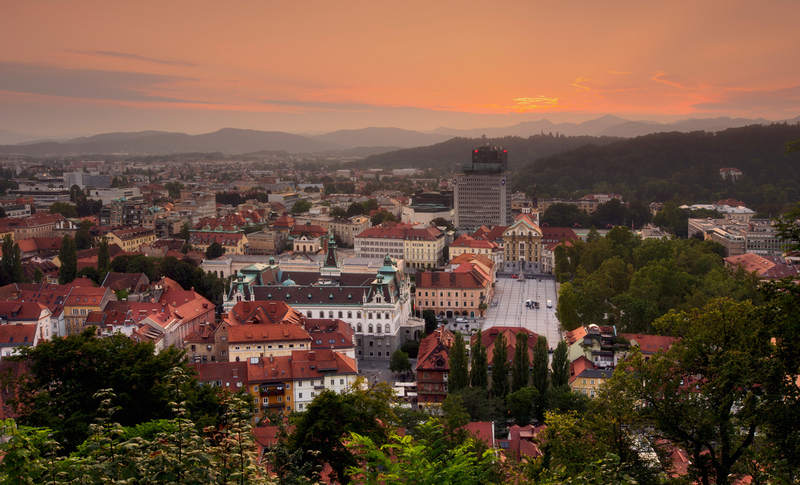 What would you say to a first time visitor – what is ‘a must see’ place in Slovenia? 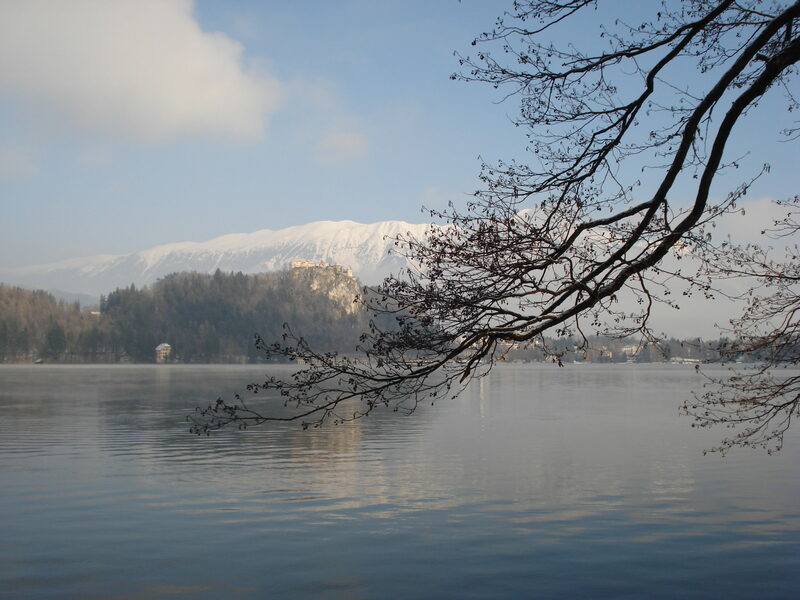 See Lake Bled; slow down and take it in! What did you miss while staying here? So much! We didn’t make it to the coast or Piran. And, although we rode through the countryside, we didn’t stay in the rural area. 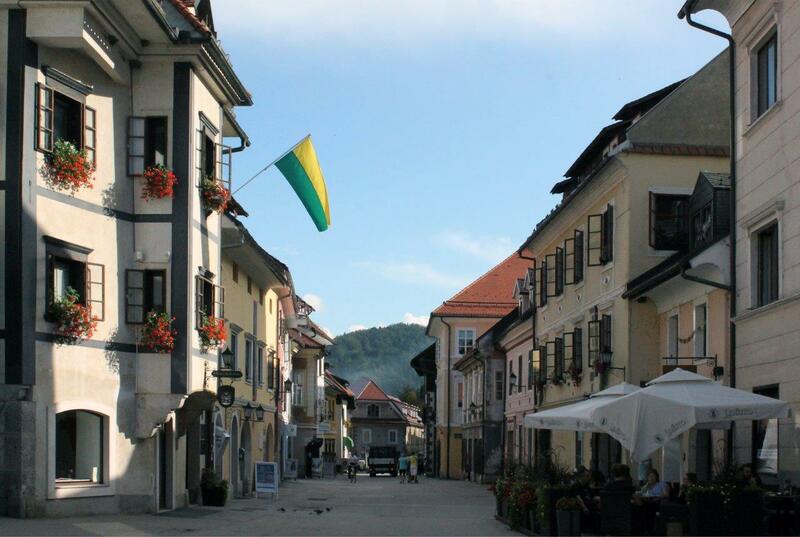 We would love to explore the smaller towns in Slovenia and more of the mountains, as well. What are your plans for the future? 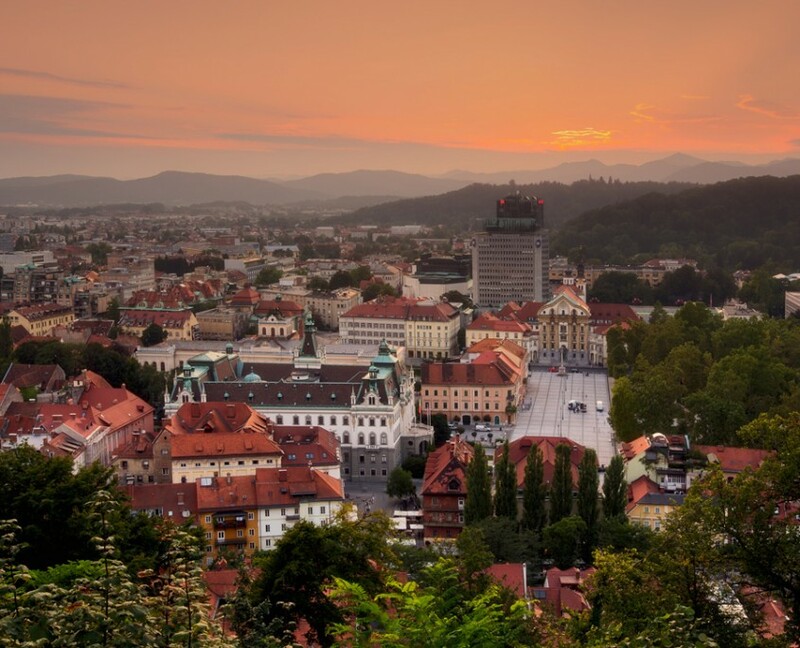 Coming back to Slovenia? We plan to keep travelling for as long as we can. 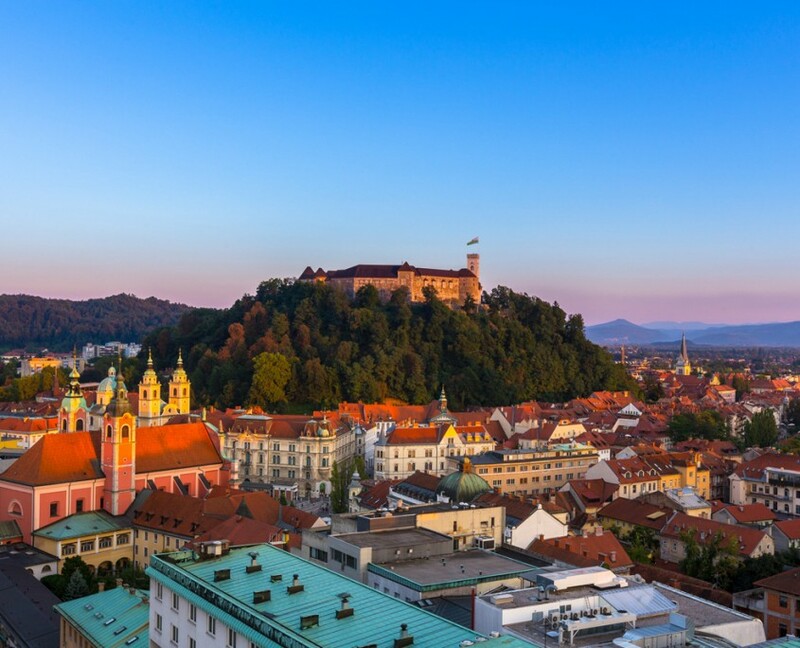 We definitely see another trip to Slovenia in our future – there is still so much more to see! 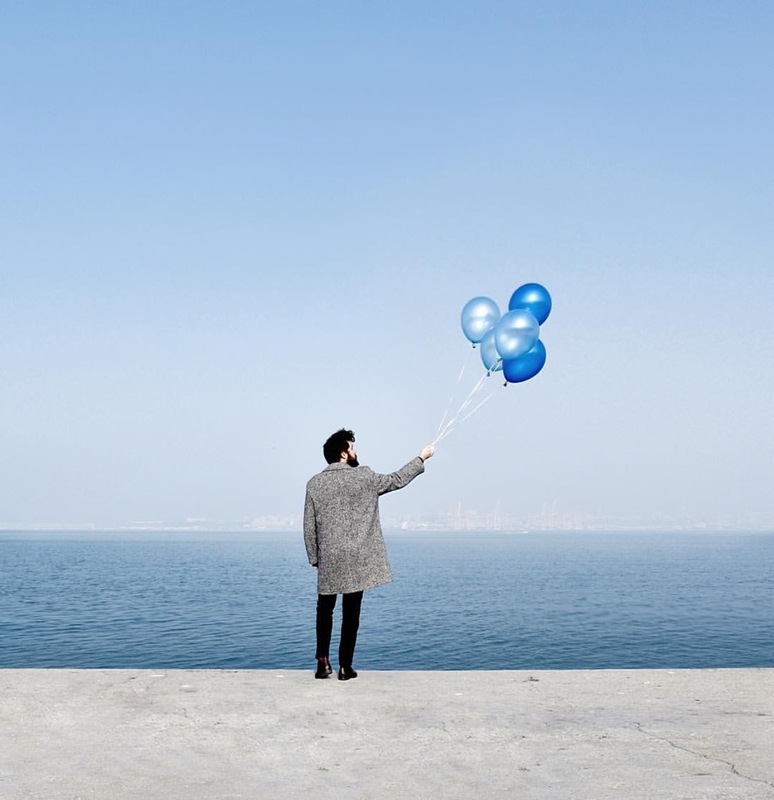 Instagram thought me an important lesson; before I go anywhere, I search through the #hashtags connected to the place I want to visit and I ask local Instagrammers for tips – where to go & what to see. 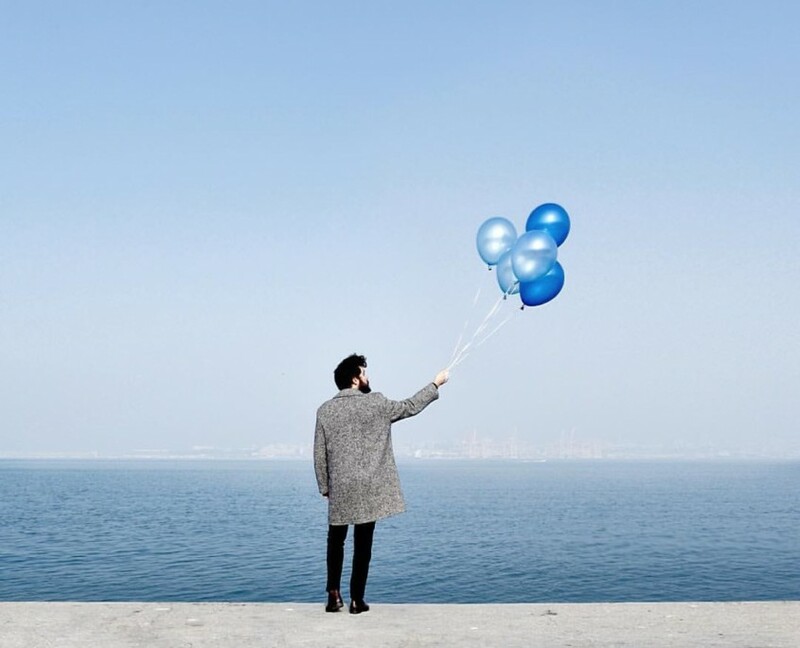 Mighele_ is the person that ‘pops up’ when you are looking for ideas where to go and what to do in Italy, especially in its northern part, around Trieste. 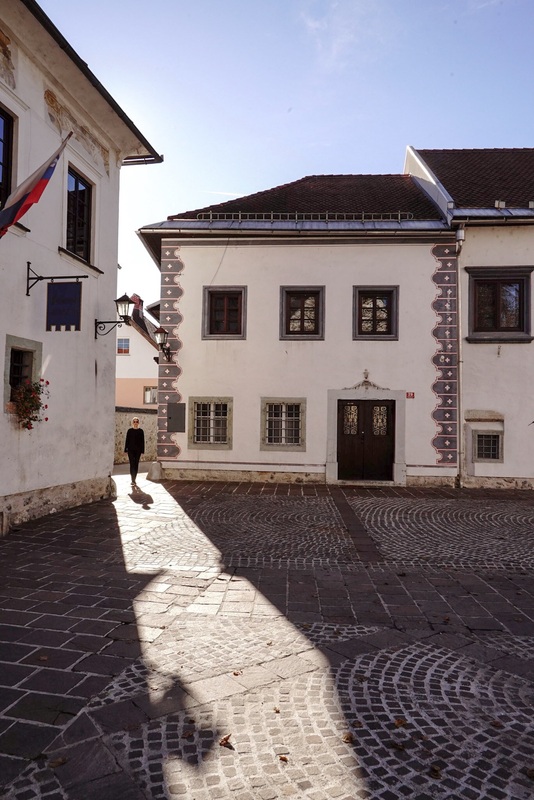 I have also found some of his photos of Slovenia and decided that an interview with a neighbour (with an amazing gallery!) is a must! My name is Michele and I’m from the north-eastern part of Italy. My instagram name is @Mighele_ but I have also another profile, @mighele_daily and of course – you can find me on Twitter & Tumblr. I currently live in Trieste, but I was born and raised in Udine, where I worked as a graphic designer for several years. Now I’m working hard on a new project with my partner Marco called “Dezen Dezen. It’s very exciting to see the project – slowly but surely – becoming a reality! The next big step waiting for us is to move our screen printing manufacture to Trieste. How would you describe your photography style? I find your photos very aesthetic, symmetry is importantto you and (especially lately) there almost must be a splash of blue here and there. Am I wrong? You already told everything. It’s not easy for me to describe my style because I have a very spontaneous approach to photography and most of the time I just shoot what I encounter during my days and on my travels. My photos are often blue because blue is the colour that surrounds me most of the time between the sea of Trieste and the sky of the Friuli’s Alps. Are you a professional or amateur photographer? What kind of equipment do you use for taking photos? Absolutely amateur! For the last few years I was only using my iPhone for shooting and for editing my photos. However, recently, Nikon Italy invited me to take part in a photography project and having a Nikon Reflex in my hand gave me a lot of new inspiration. Instagram is my favourite social media mostly because it allows you to tell stories in a very simple way! In Italy the community of Instagrammers is very large and united. The first one that involved me was Instagramers Italia and thanks to them I discovered how cool Instagram is and met a bunch of cool people from all around Europe and the world. 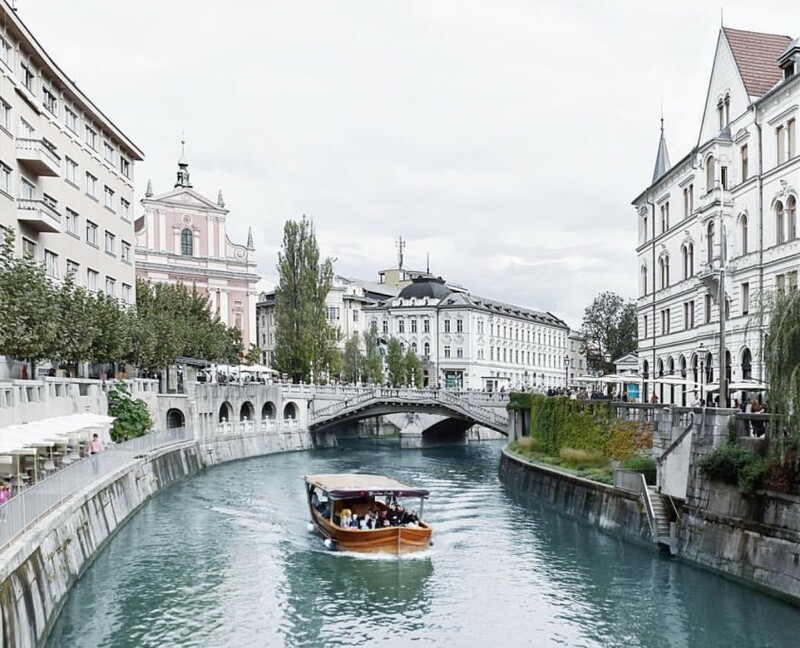 Can you share some tips for Slovenian Instagramers? How to act on Instagram? What is really important for you? Instagram is all about storytelling: Show your passions and show the most beautiful places in your country! Those are my favourite contents! In a nutshell: Less selfies and more interaction! That was my winning combination and it allowed me to get to know so many people and some of them became very close friends of mine. It also allowed me to get in touch with some cool brands with which I developed different kind of collaborations. Living so close to Slovenia also means I visit it often, but unfortunately I had only a few occasions to visit it as a tourist. 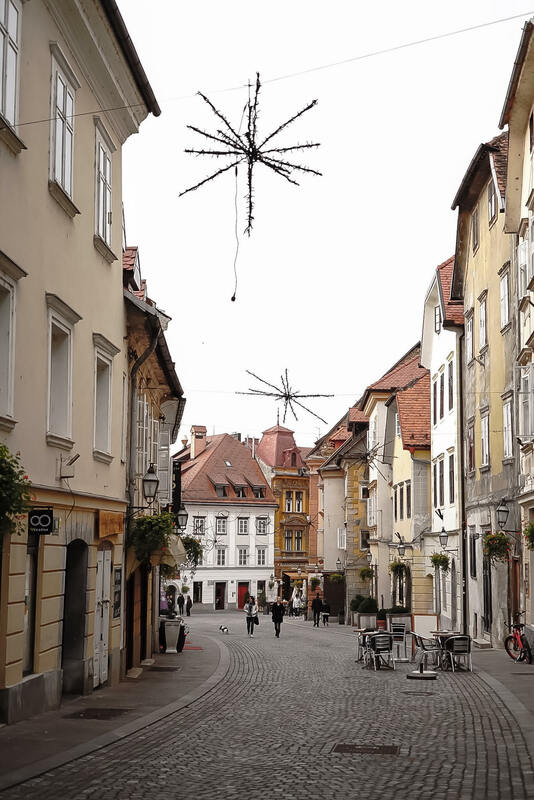 In the last year we participated many times on Ljubljana’s arts and crafts markets with our Dezen Dezen handmades and each time I take more confidence with the city and fall a little bit more in love with it. 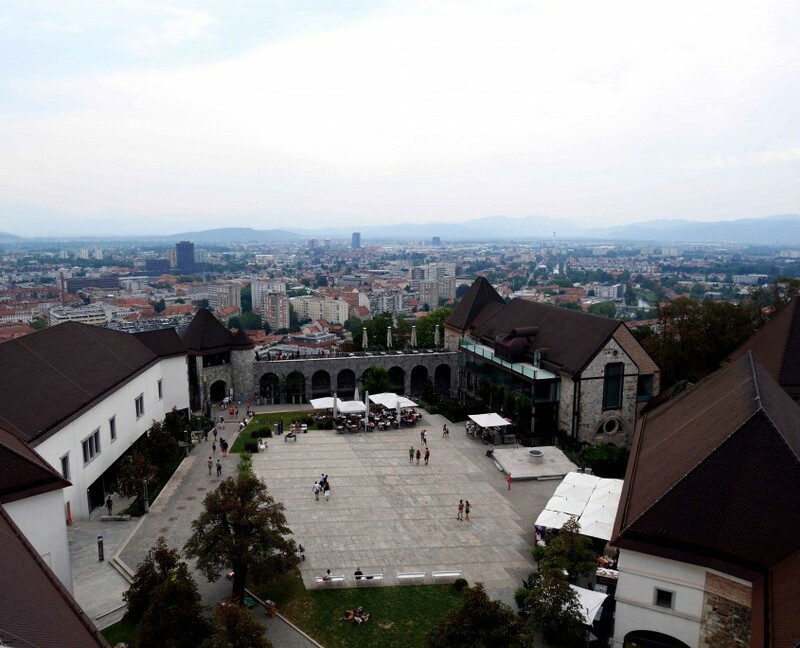 I have seen more Slovenian highways and gas stations than cities, LOL, but as I said I love Ljubljana and Piran! 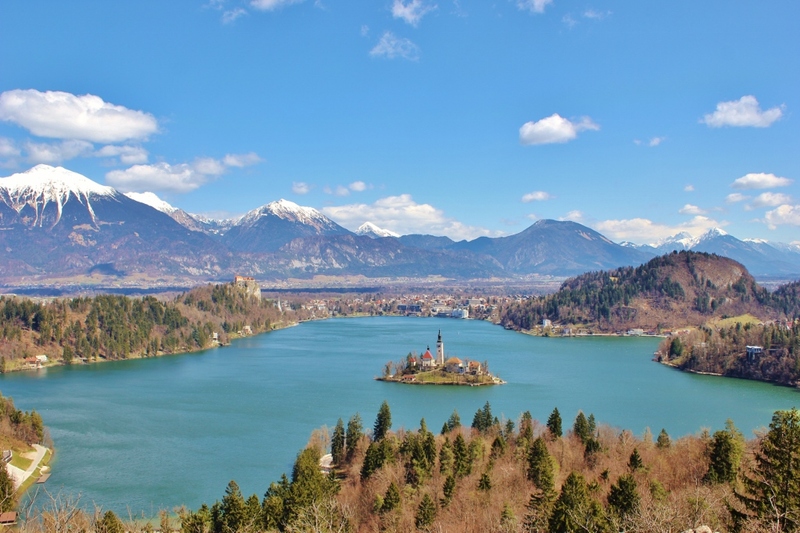 I would love visit the beautiful Lake Bled and I hope I will spend a weekend there really soon. 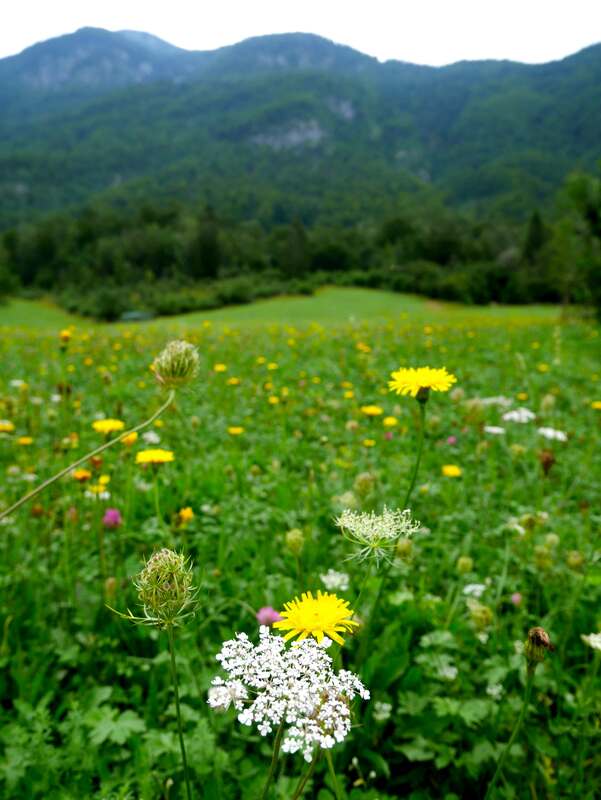 Until then I will admire Slovenia on Instagram! 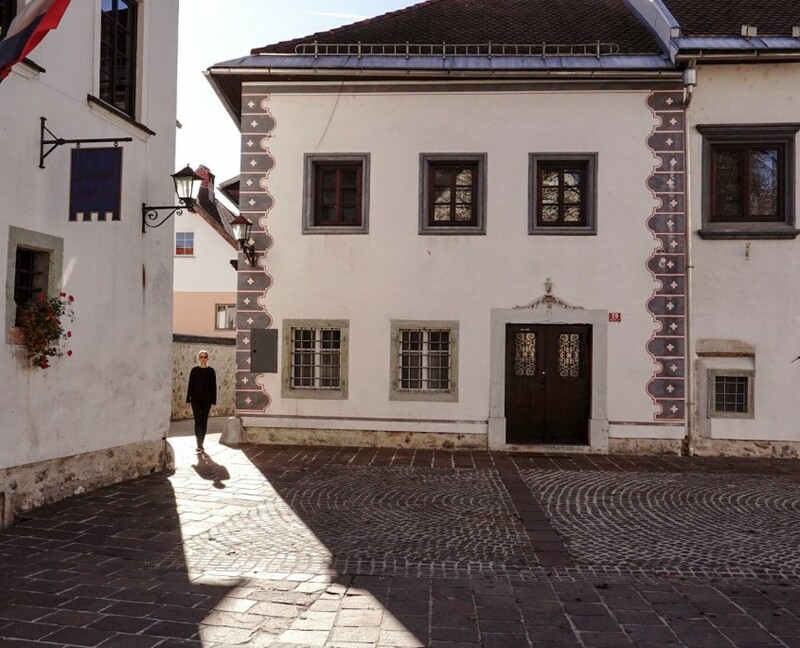 Do you think that Instagram community could do something to help you while exploring Slovenia? Of course! Browsing Instagram galleries of my favourite Instagrammers helps me discover a lot of beautiful places that I never visited or even knew they existed but are just a few kilometres away. When I find something new and interesting it immediately becomes my next destination! The community can become a great resource to discover beautiful places. When you use hashtags and geolocation correctly Instagram is a very powerful tool. I’m a lawyer and my greatest passion is photography. I was born in Switzerland and I’ve grown up in Istanbul, the city that will always be in my heart. I’ve moved to Italy 13 years ago and now I live in a small and very peaceful town called Treviso close to Venice. When I stand in front of the Gran Canal in Venice I feel as if I was in Istanbul facing the Bosphorus, looking at the seagulls playing with the waves. How would you describe your photography (your photography style)? I take pictures of my travels and life adventures, of what I like and what is harmonious. I love architecture and design. I always try to use natural light and avoid filters. I’ve started as an amateur photographer with my dad’s Nikon camera, but as I’ve improved I bought a new camera for myself and started to take pictures also with my iPhone 5. As technology developed I’ve started to use an iPhone 6 camera and got a new Sony alpha 7s camera. I think that it’s great. I think it’s a passion that I will keep for all my life. It’s a way for me to see the world. My friends that liked my photos suggested me to use it, and I’ve decided to share my pictures on an Instagram account with my name. I’ve been chosen a suggested user by Instagram and the adventure started. I think that the most important points are to be patient, to practice a lot, observe every single detail and never give up. To share at least one picture a day is also important, it keeps your profile alive and your followers attached. I think that to answer to your followers is fundamental and always to be aware of the harmony and beauty of your pictures. 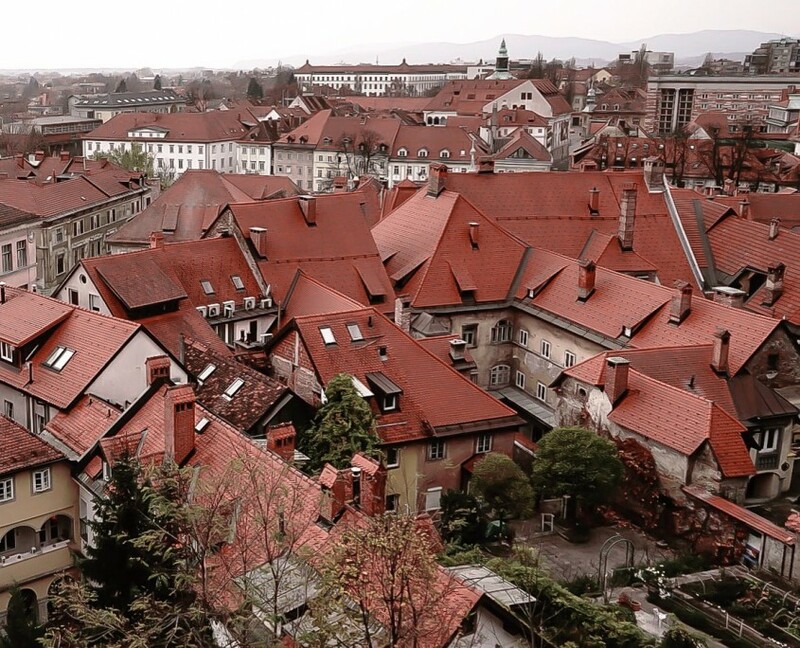 I’ve been to Slovenia many times before, but I didn’t have Instagram then. I’m convinced that your country is beautiful with it’s nature, people, culture, cities, history and food. It’s a pleasure for me and my family to spend holidays in Slovenia. What are your favourite places here? 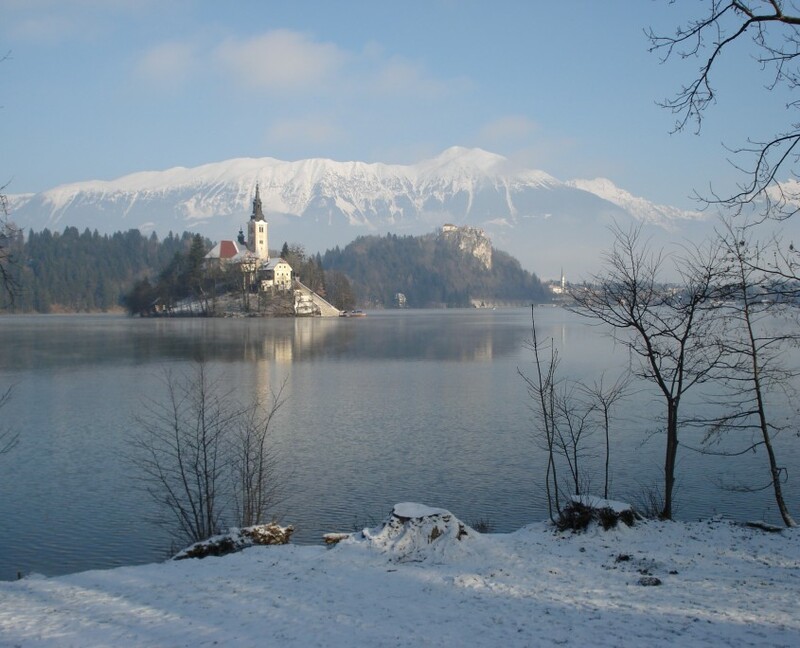 What would you say to a first time visitor – what is ‘a must see’ place in Slovenia? 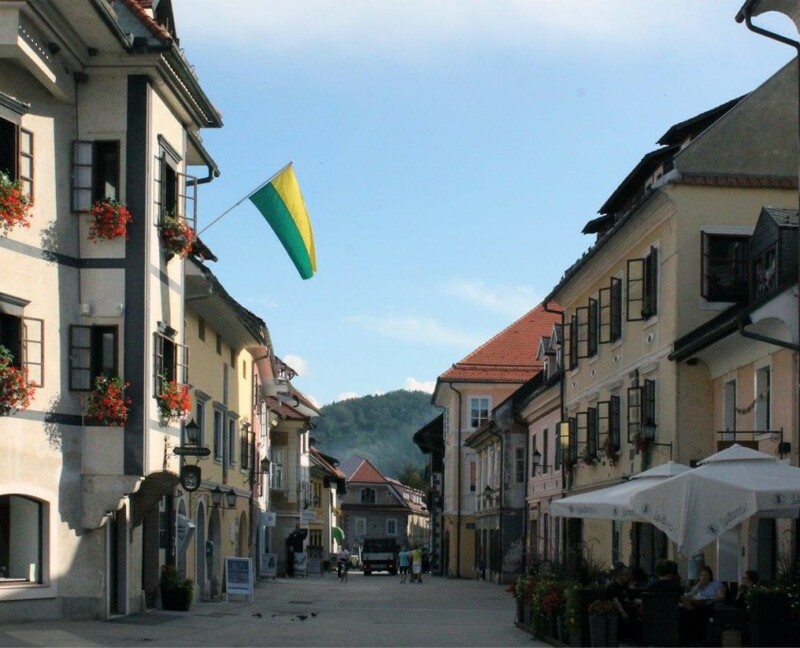 My favourite places are Ljubljana, Piran, Radovljica and Bled. 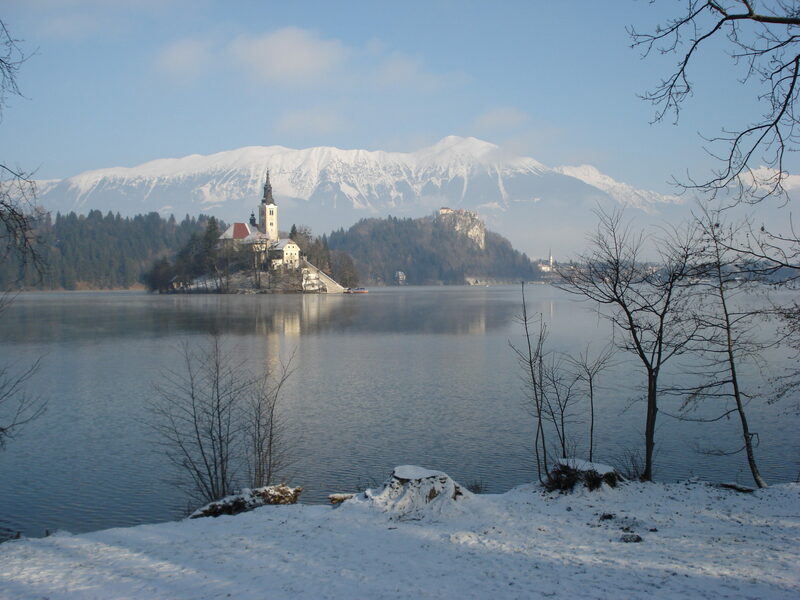 Slovenia offers everything for a visitor; sea, mountain, lakes and history. Where did you got the information that you needed to explore the country? Before starting to a new trip I always check information on Instagram. For this reason I think that an Instagram community is essential to visit a country and to collaborate with @igslovenia on a future project would be a great pleasure for me. I am Chiara Morini, 39 years old, and I come from Porto San Giorgio, a city in the central Italy, in the Marche region. I am a local web journalist and I update the social media channels of my municipality with photos and information about the events in my city. This is my work & I love it! Are you a professional or amateur photographer? What equipment do you use? I am an amateur photographer, but sometimes I have to be a photographer for my work, so – you can call me ‘half-professional’:) I started working in the field of communication as web journalist and then slowly photography came into the picture, to illustrate my articles. After that I started working with social media and I got engaged with the world of photography. I bought a Canon EOS digital 1100D with a standard lens systems (18-55 mm). Then I bought a 55-250 mm and a 10-18 mm. I also use my Iphone to take photos and a Samsung Galaxy EK GC-100 camera. What does photography mean to you? Can you describe us your photography style? Well, if you ask me this two questions are connected. Photography is … quite everything! I love taking photos. I decided to become a journalists because I love to tell stories, to narrate what I see in the world. If I can tell something to someone with my keyboard, I can also make that with my camera. No words, but images, like reportage. I try to make this when I take a photo: I narrate the reality, the life, I try to let the people live what I lived, to see what I saw, to make them feel what I felt while observing what I captured on my photo. If am tired but I have to take photos in the theatre or at the concert for my work, I obviously go. And I come back relaxed! I love taking photos as well as I love writing. Personally I prefer some photography genres like macro photography, food & wine photography, animals, flowers & plants and monuments. Let’s talk about Instagram … How did you end up on Instagram? At first I checked it just out of curiosity. I quickly realised it is good for me, it is what i like and also – I started to think that I can use Instagram for my work. Beside that, Instagram is really great for meeting people from all over the world. I post on Instagram when there is something beautiful to show. 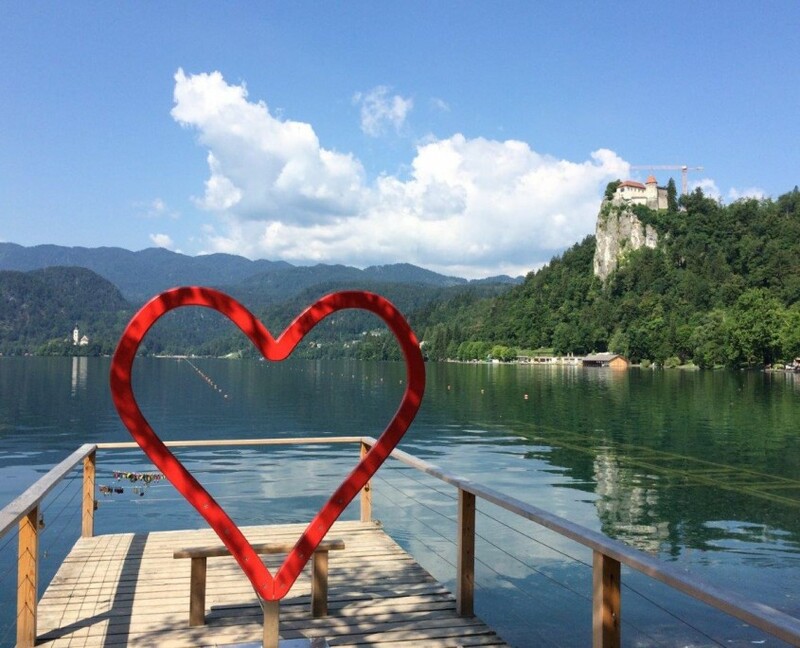 I love to interact with other people, with you in Slovenia (I can keep in touch with your beautiful country and I see places I do not know yet! ), but also here in Italy. Let me give the people my personal advice: Use hashtags on Instagram – to find best accounts that you will enjoy following and to show your photos to the Instagram world. Do you also use Instagram in other (not only personal) projects? What about other social media? I try to promote the use of Instagram also in my municipality. I created two profiles for my city; @psgculturaeculture (cultural events) & @portosangiorgiomeet (for tourism). I also use Facebook, Twitter, Instagram, G+, tumit (that is an Italian social network for events). Occasionally I post on Flickr and Pinterest too. I am going to have my own web site and I’m just starting a new blog project. It is not a social network but one photo-project I undertake for my city is “Virtour” (80% of the photos and texts are mine), a virtual tour in our city. Slovenia? How & when did you decide to visit? Why? What are your favourite places here? 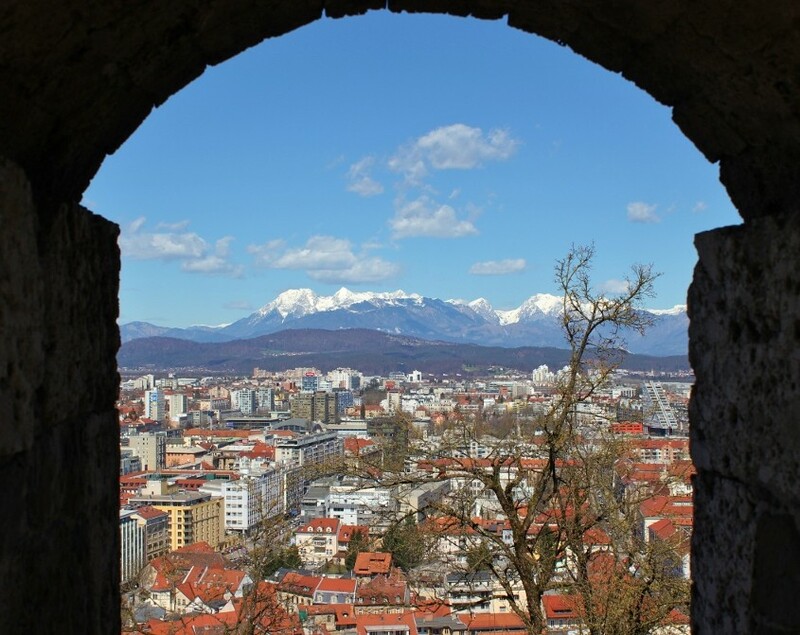 What would you say to a first time visitor – what is ‘a must see’ place in Slovenia? The first time I came to Slovenia was 20 years ago! 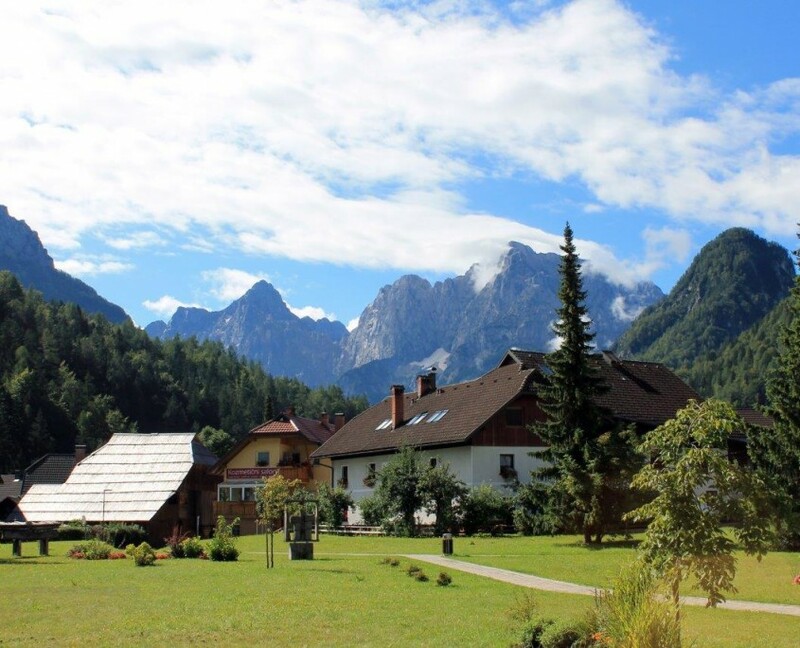 I had just finished my high school graduation exams (it was the first week of July) and I came to Kranjska Gora for a group tour. I was in a hotel in Gozd Martuljek and I saw many green and beautiful views. However, the thing that really amazed me was your language: So few vowels, such beautiful sound. That is why I decided to try to learn it; I found a grammar and a dictionary and I started. 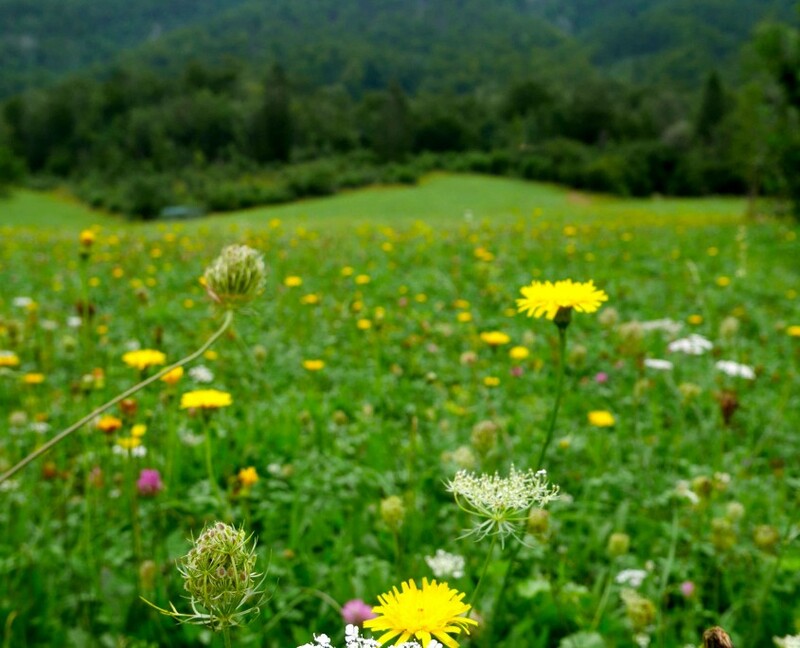 It is not easy to do it on your own and it is not enough to spend just 10, 15 days a year in Slovenia. But, it was a start. During last year and thanks to Instagram, – I made some progresses! 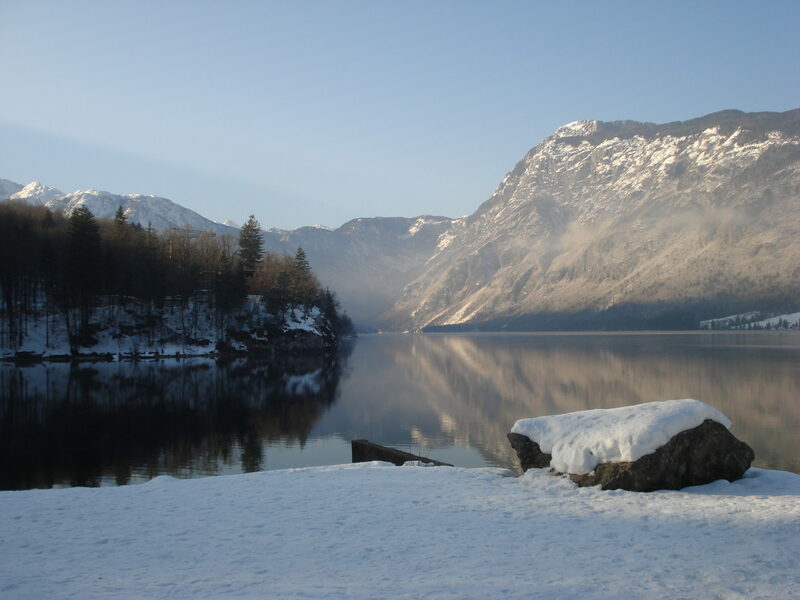 I always come to the mountain region of Gorenjska: it is beautiful and there, I feel like being at home. 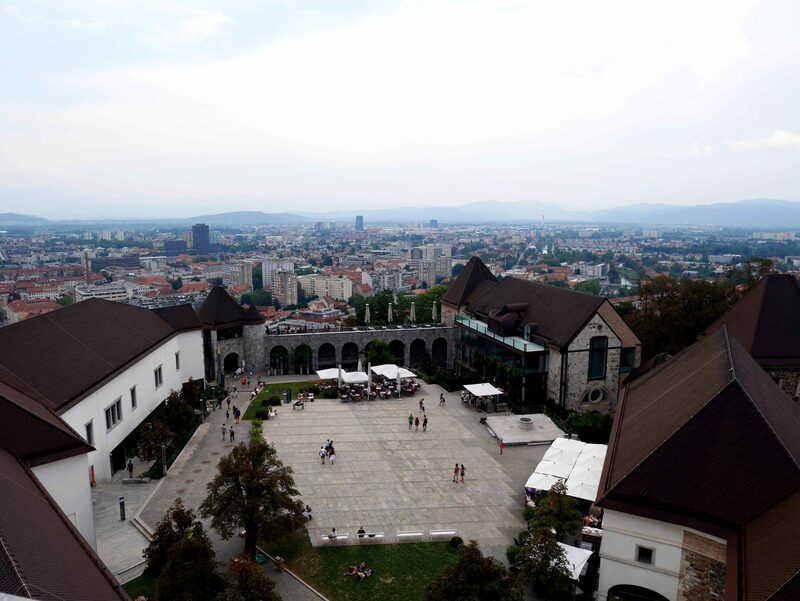 From there I go to Ljubljana. It is so lovely, so beautiful, so… “Mine”! 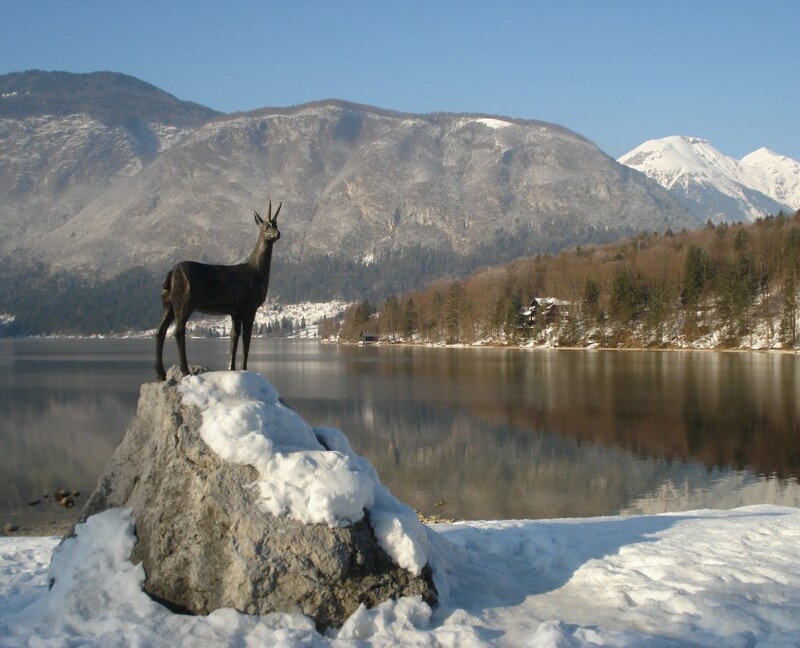 Your capital is one of my favourite places to take photos and to visit, but Kranjska Gora (and lake Jasna), Mojstrana, (I do not remember if I ever visited Dovje), Triglav, Bled, Brezje, Radovljca, Škofja Loka, Jesenice and the other places are amazing too! While staying in Slovenia I feel like home. And I do return every year! I will be back but until then; Un saluto dall’Italia / Pozdrave iz Italije! / Greetings from Italy!